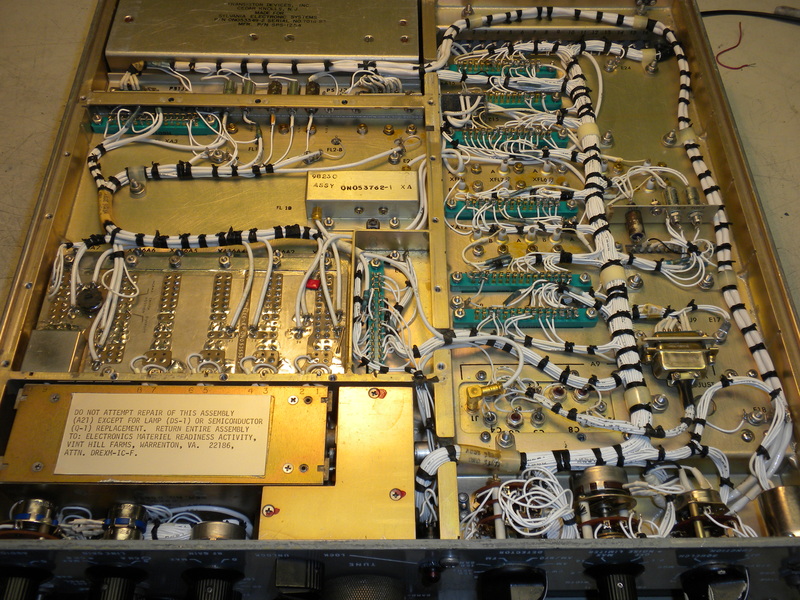 Be patient and check back often - this project is just getting started! 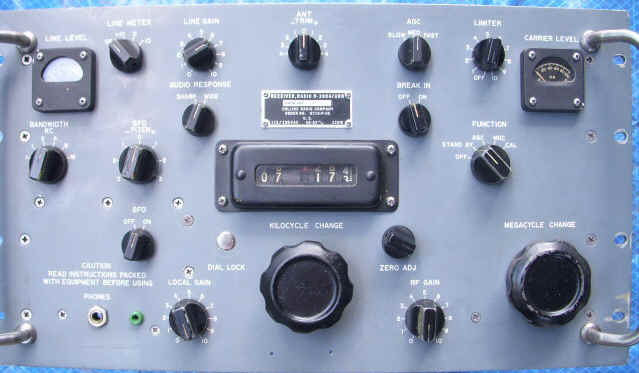 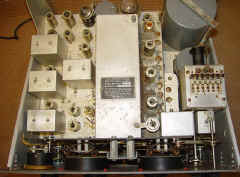 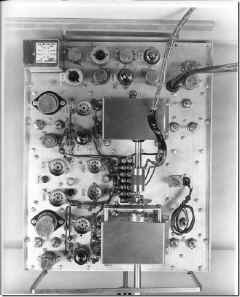 Schematic from a Navy training course showing "Typical SSB Receiver" which includes a motor-drive AFC for the HF oscillator. 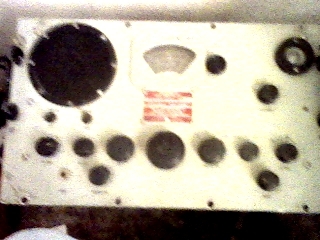 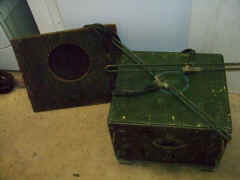 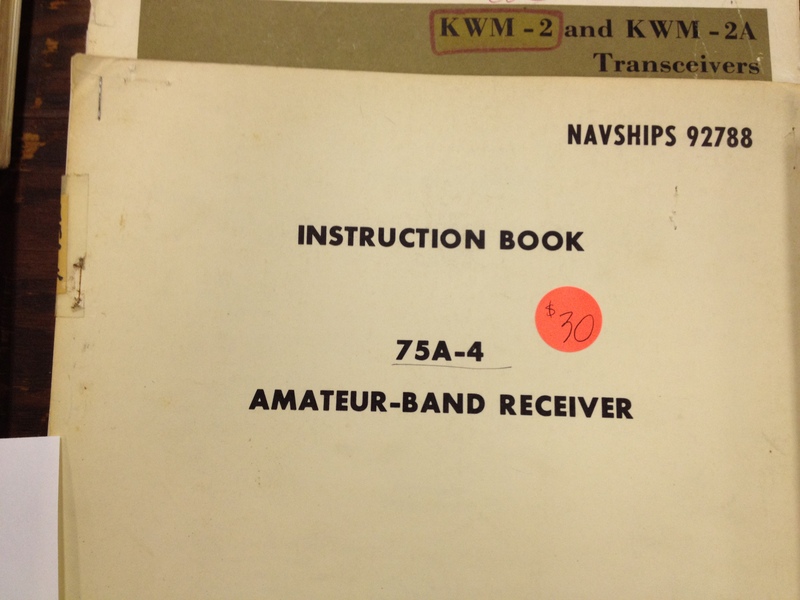 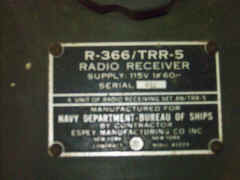 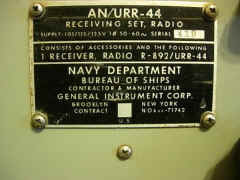 Was there ever a Navy receiver like this??? 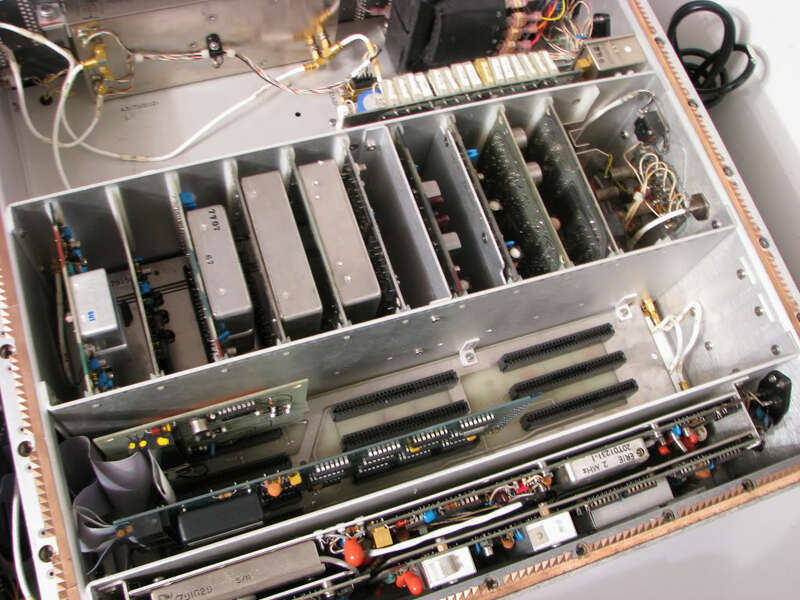 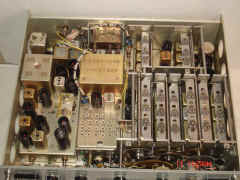 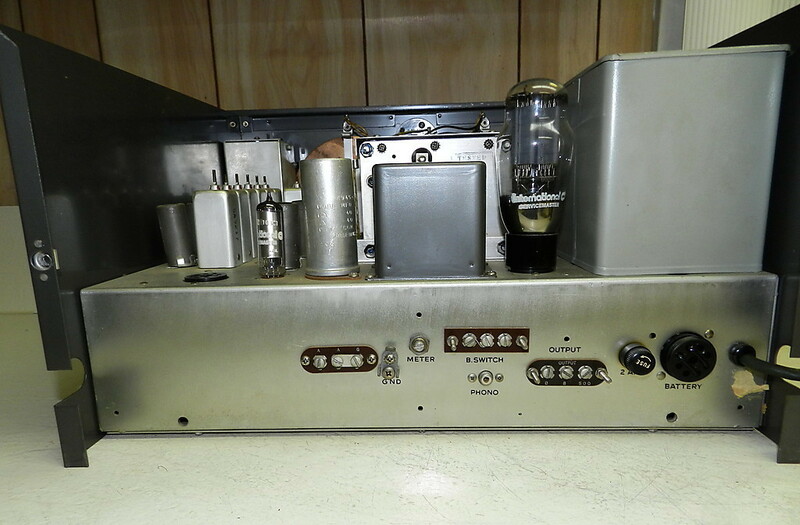 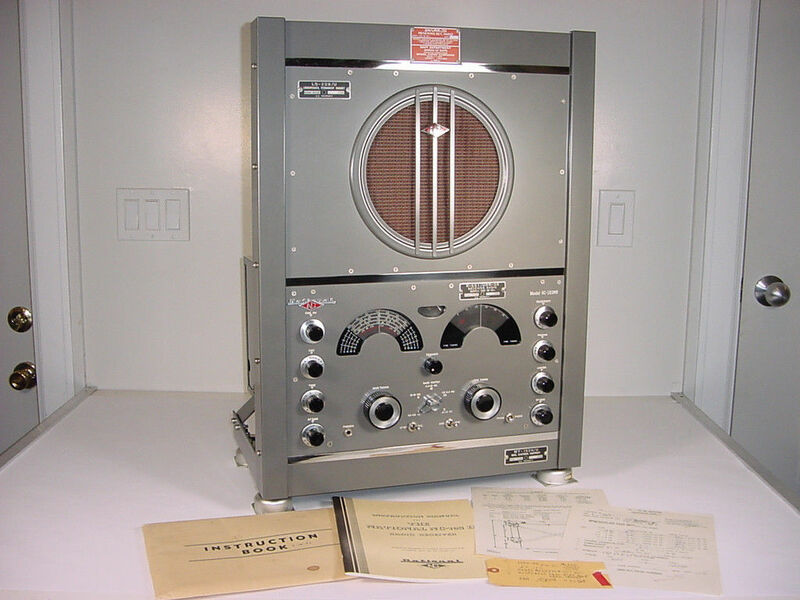 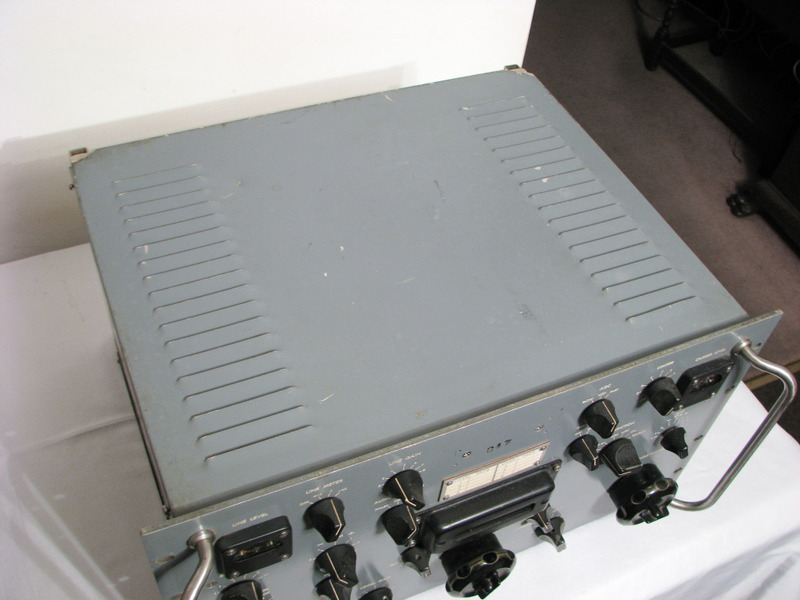 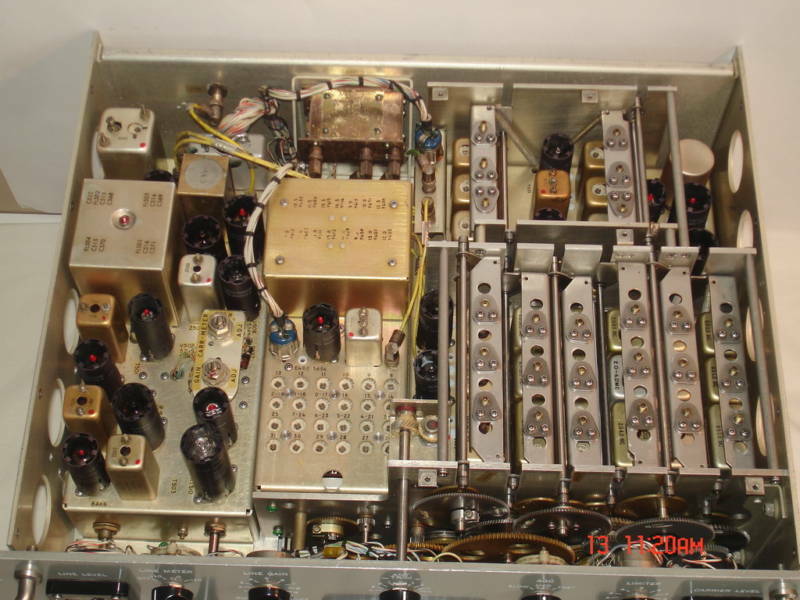 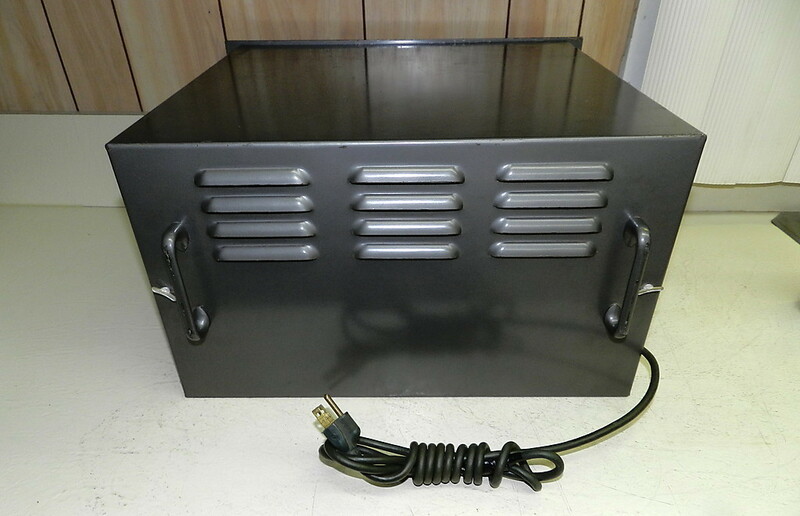 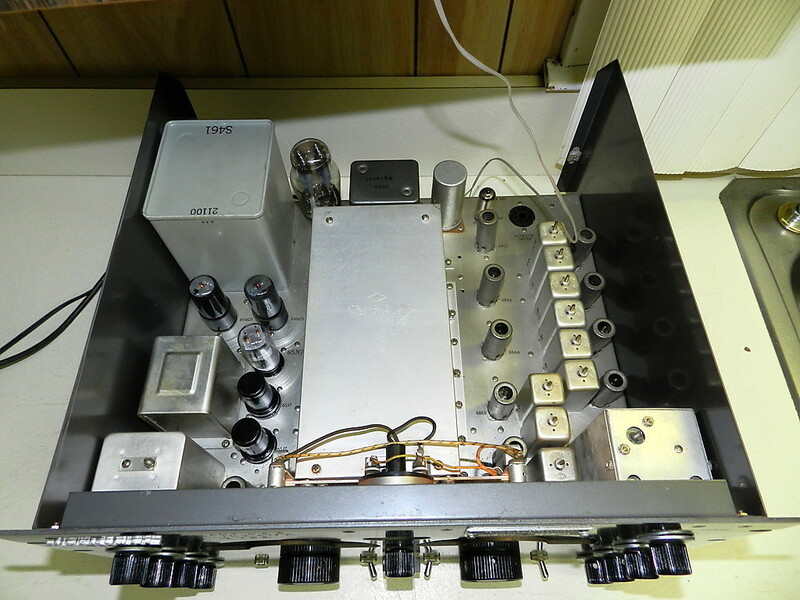 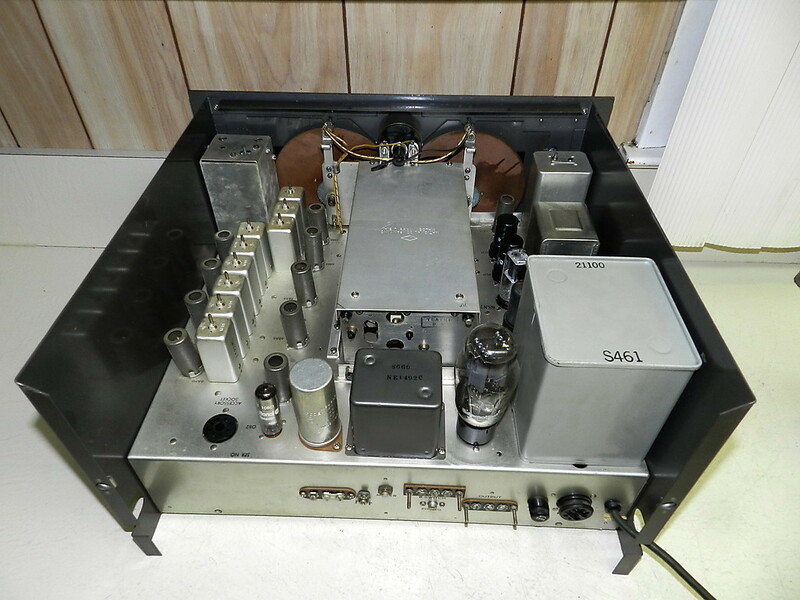 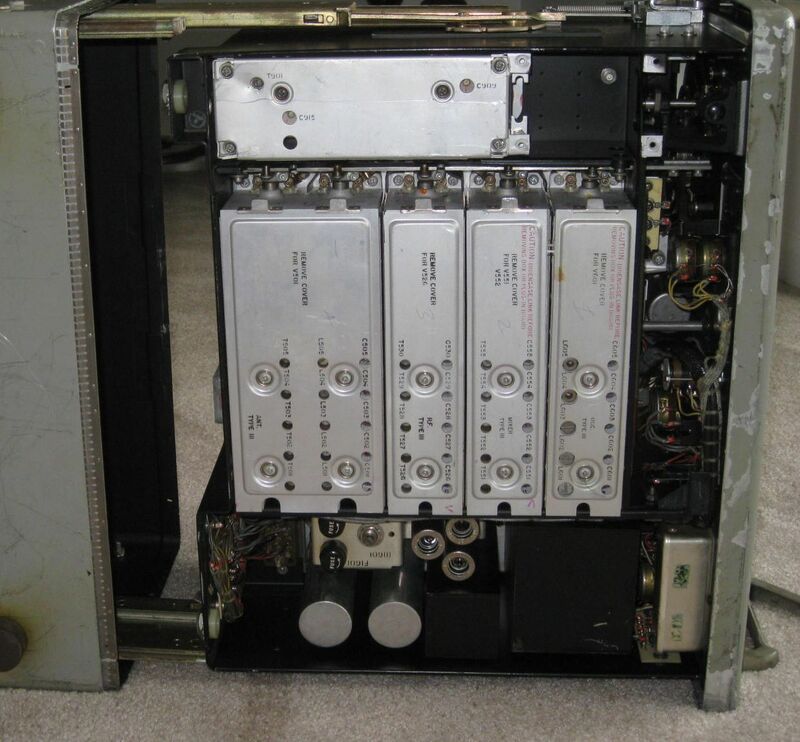 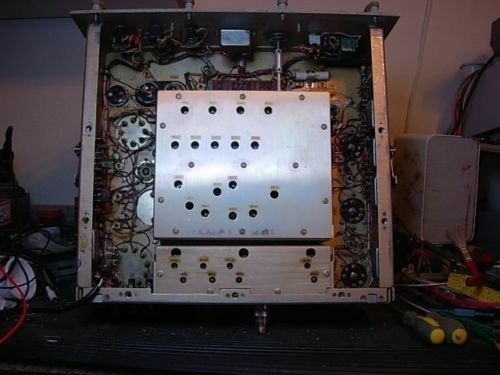 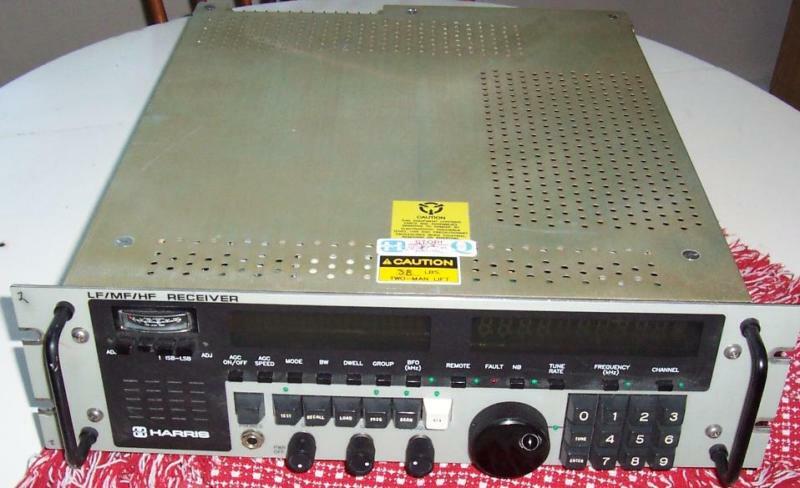 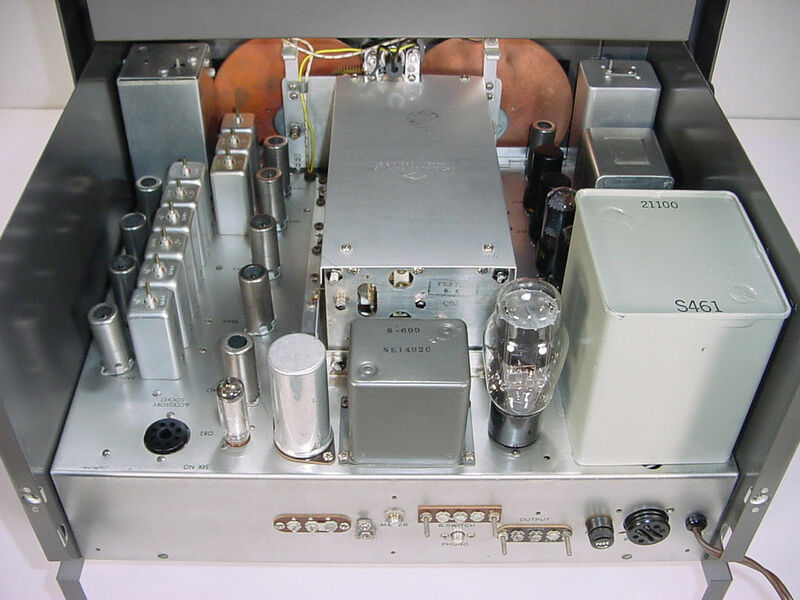 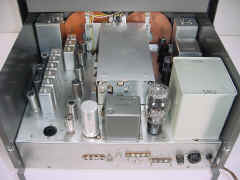 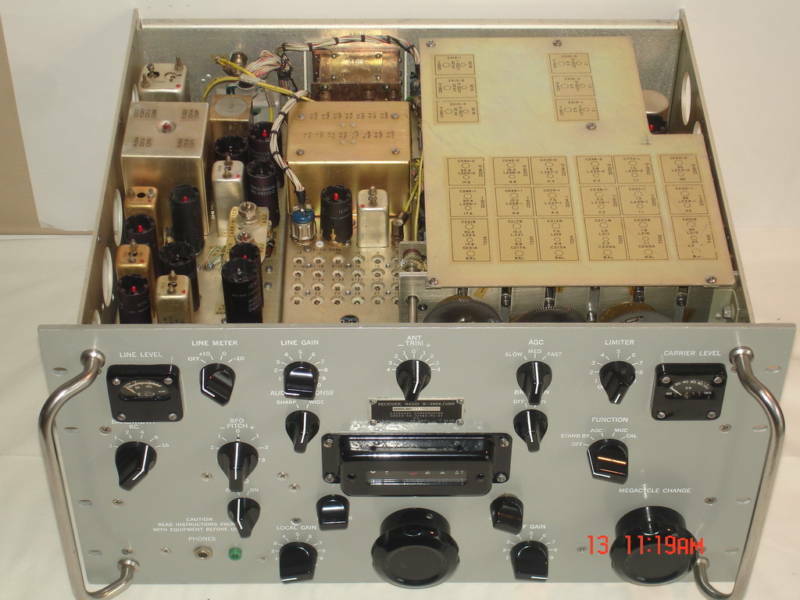 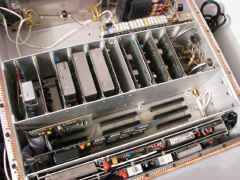 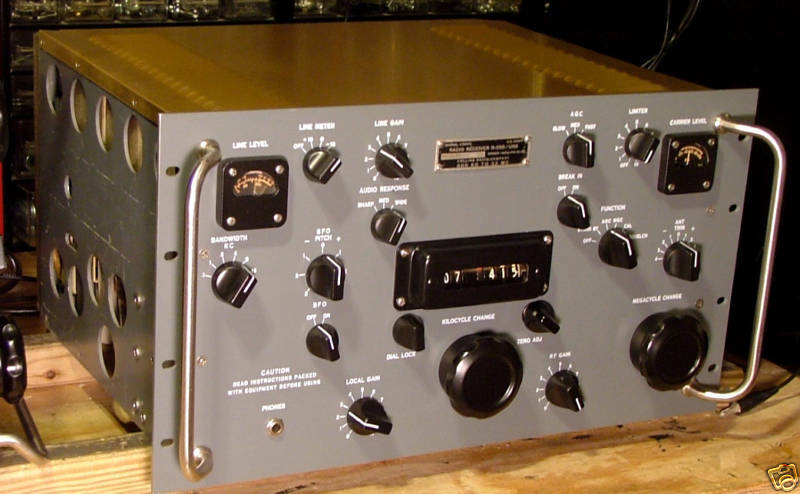 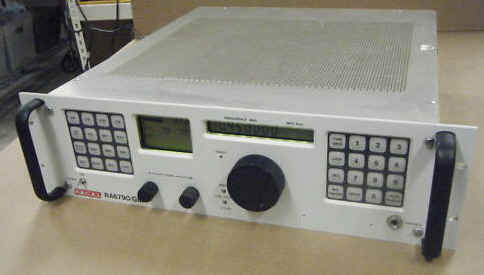 Radio Receiver R-1490/GRR-17 is a high dynamic range, dual-conversion superheterodyne receiver for the frequency range from 2.0 to 30.0 me, employing a digital synthesizer for virtually instantaneous frequency selection. 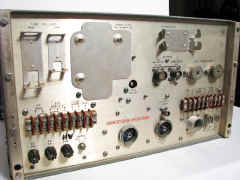 Tuning, in increments of 100 cycles, is performed by setting five tuning dials to the signal frequency in megacycle:s. Vernier tuning of each 100 cycles step is also provided. 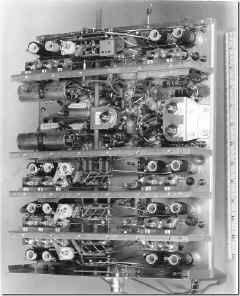 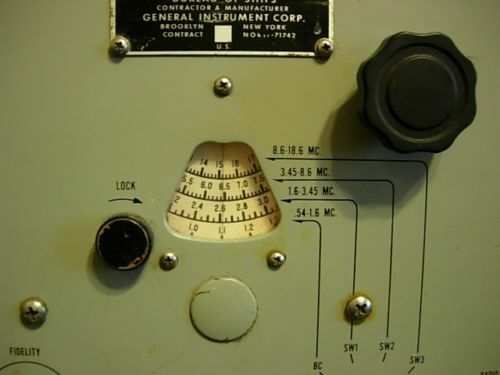 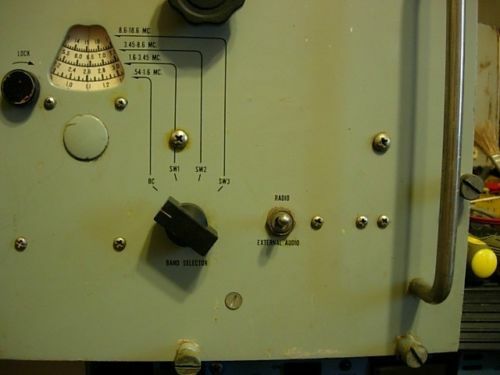 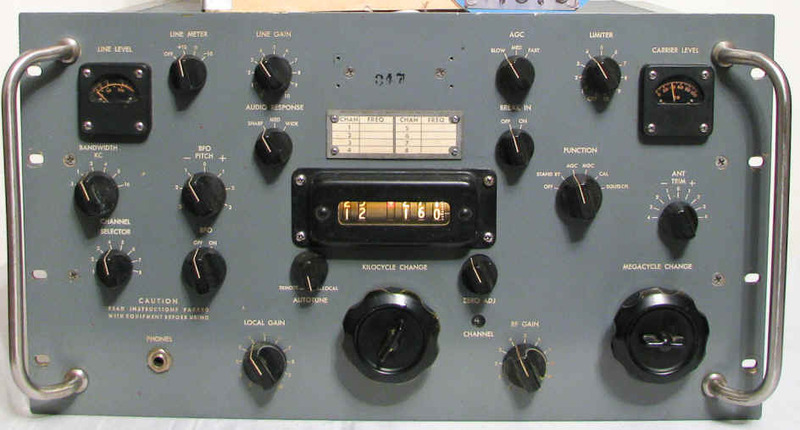 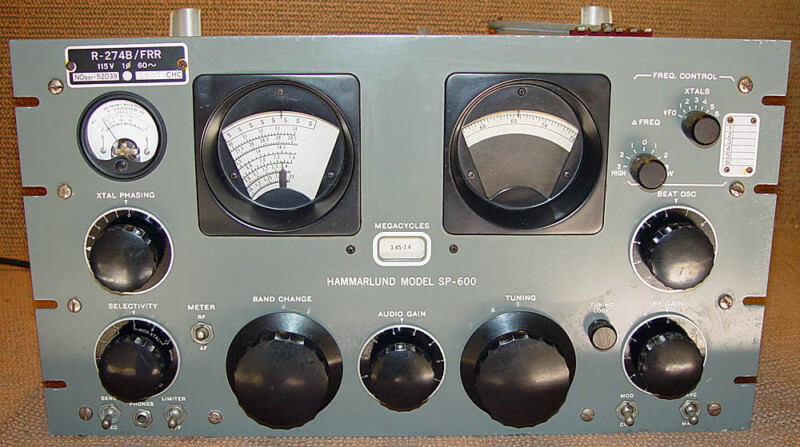 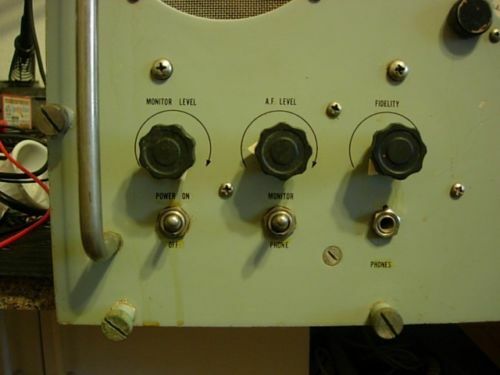 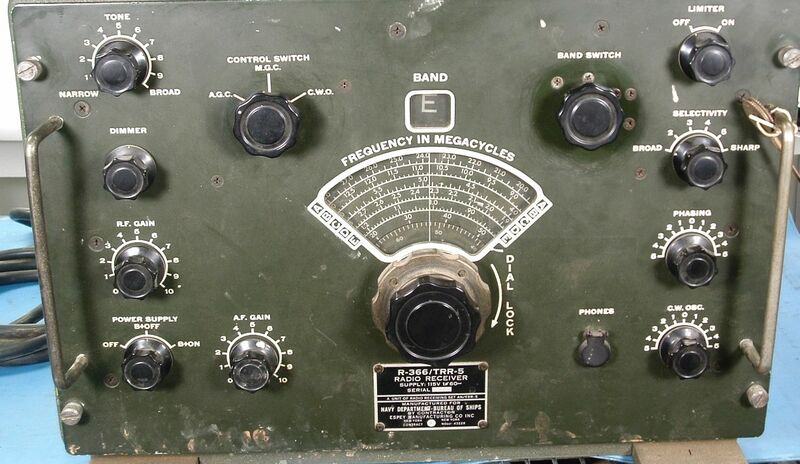 The operating modes are for reception of upper or lower single sideband (A3j), amplitude modulated (A3), continuous wave (Al ), and frequency shift teletype (Fl ) broadcasts. 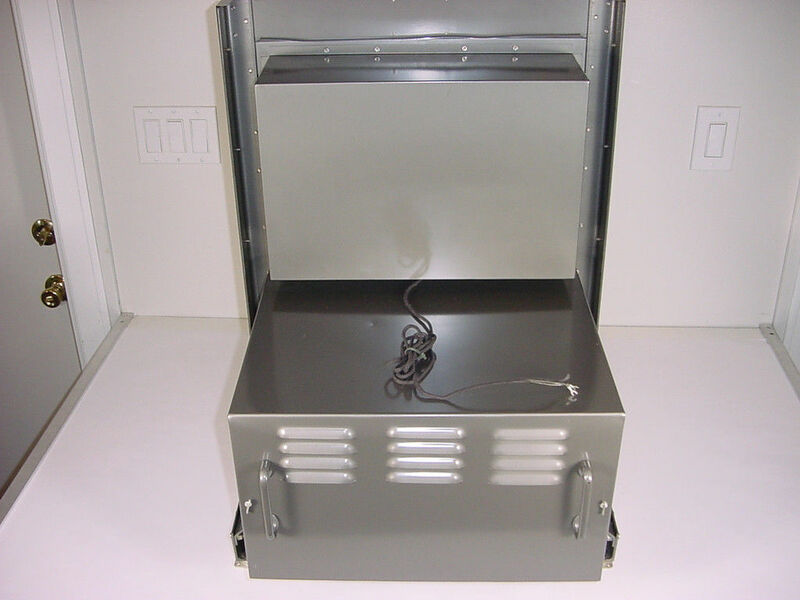 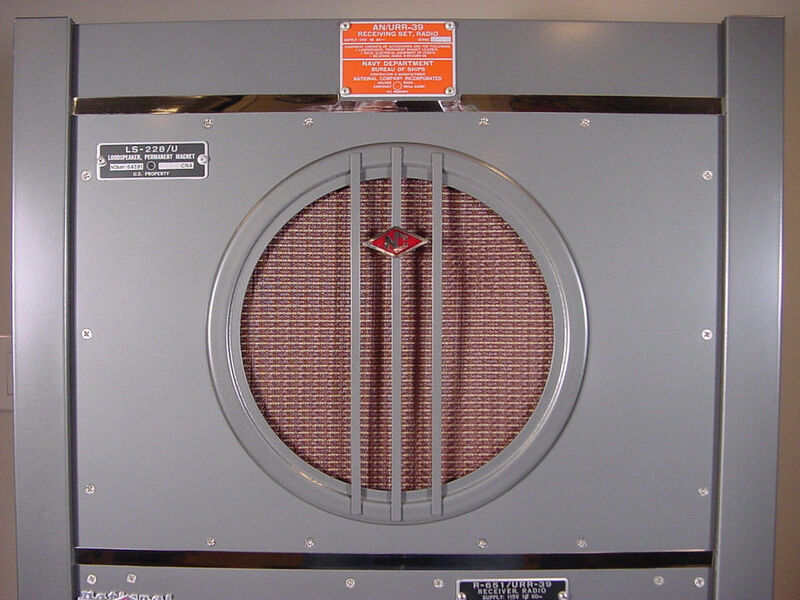 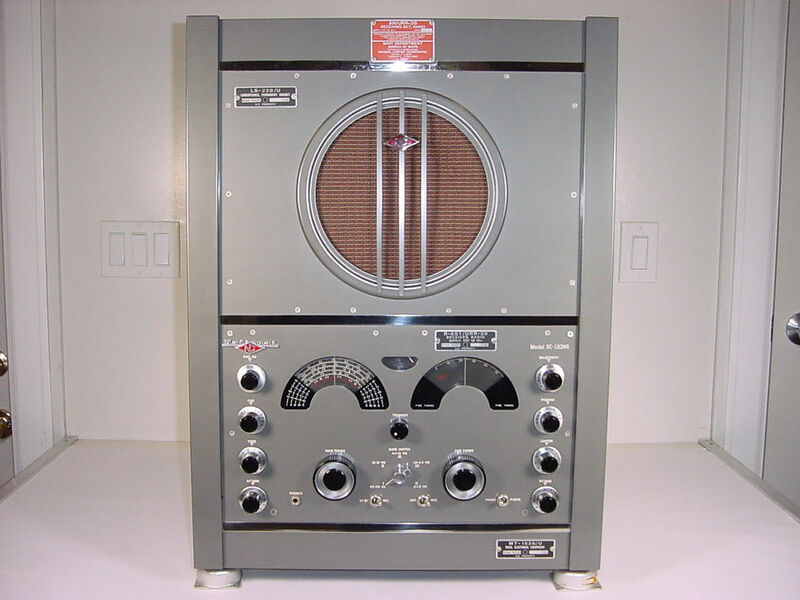 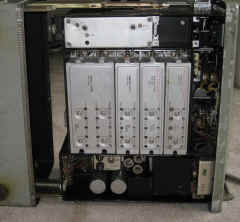 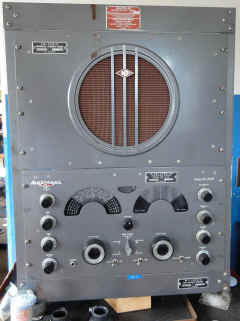 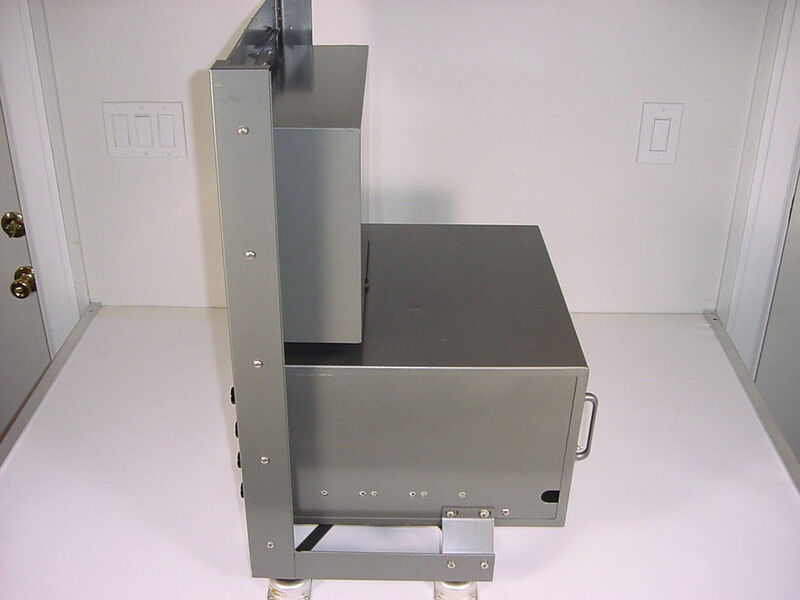 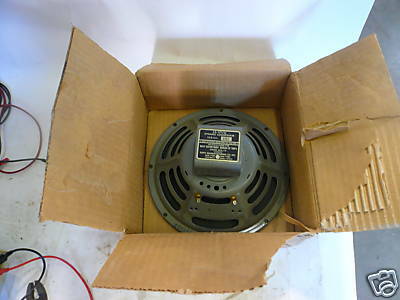 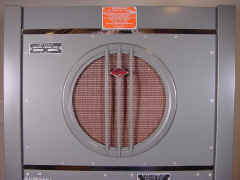 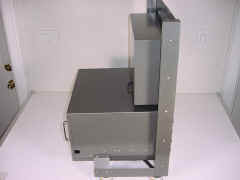 A panel mounted speaker permits signal monitoring. 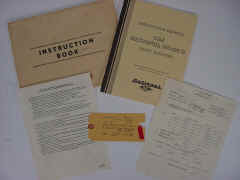 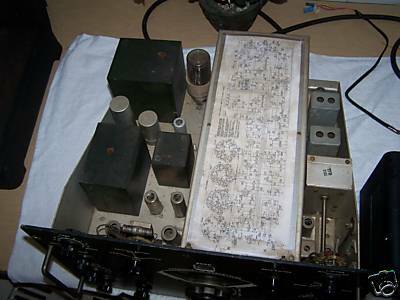 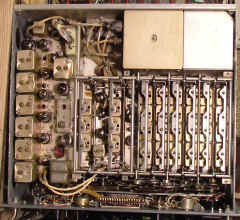 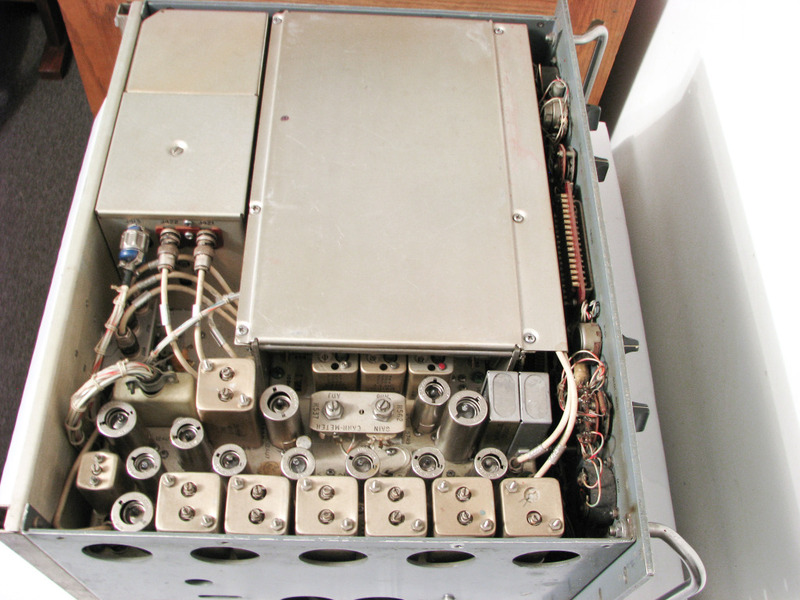 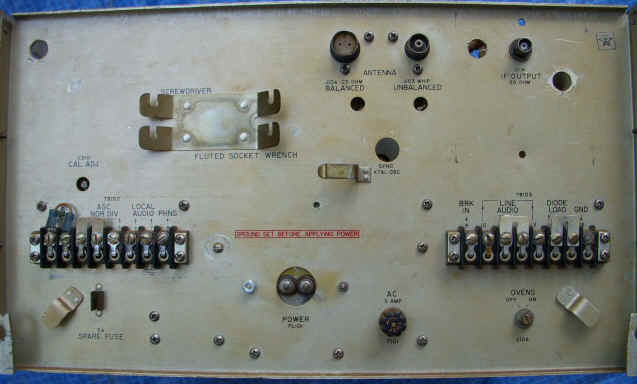 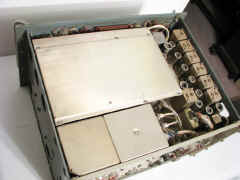 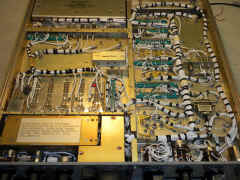 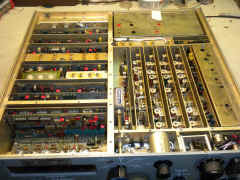 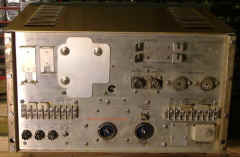 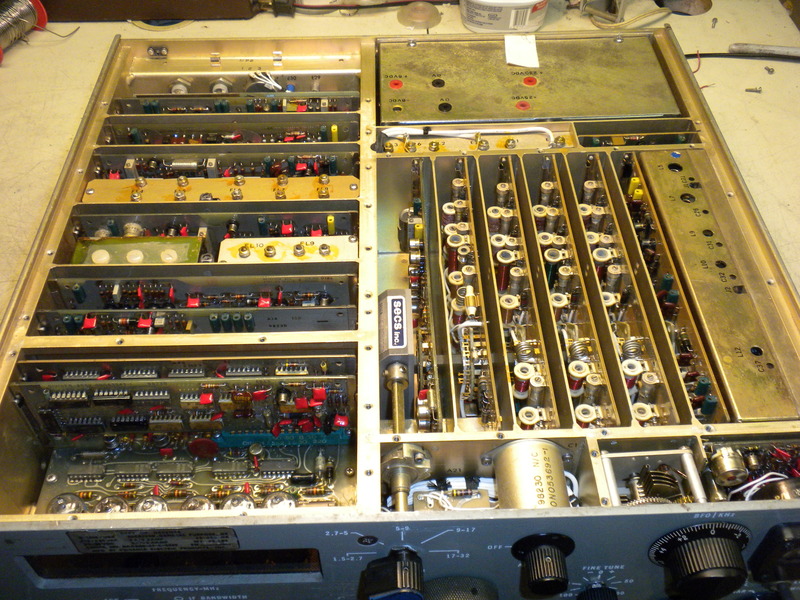 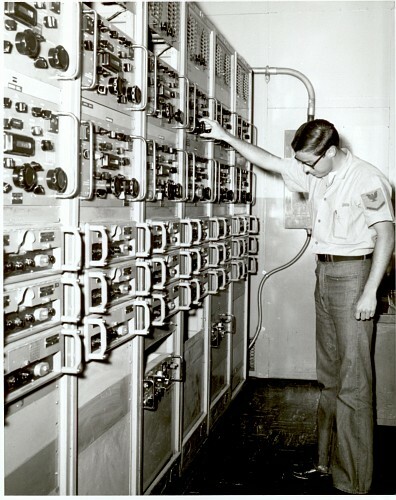 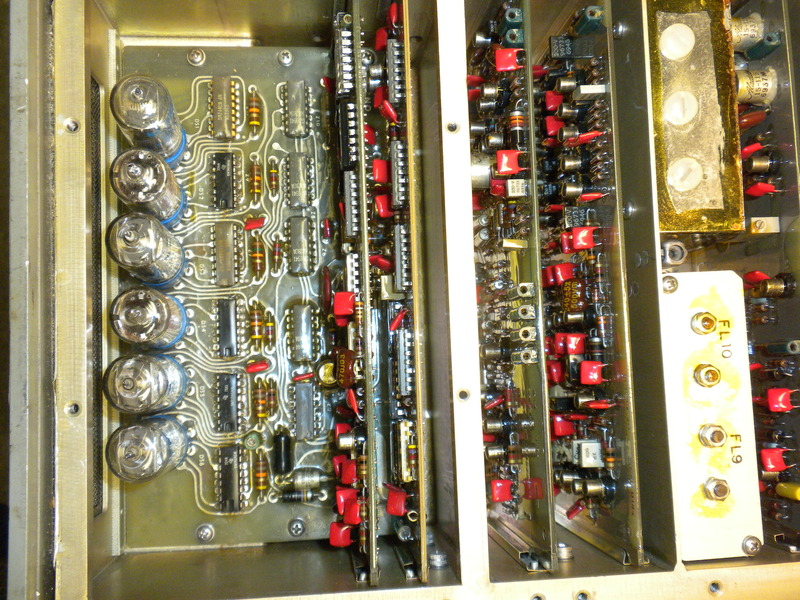 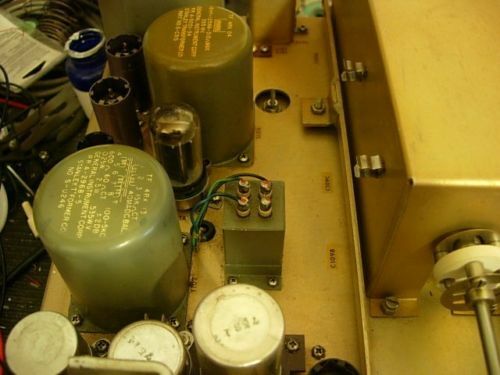 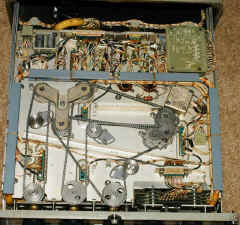 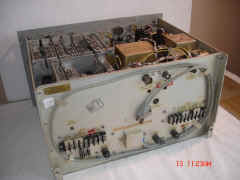 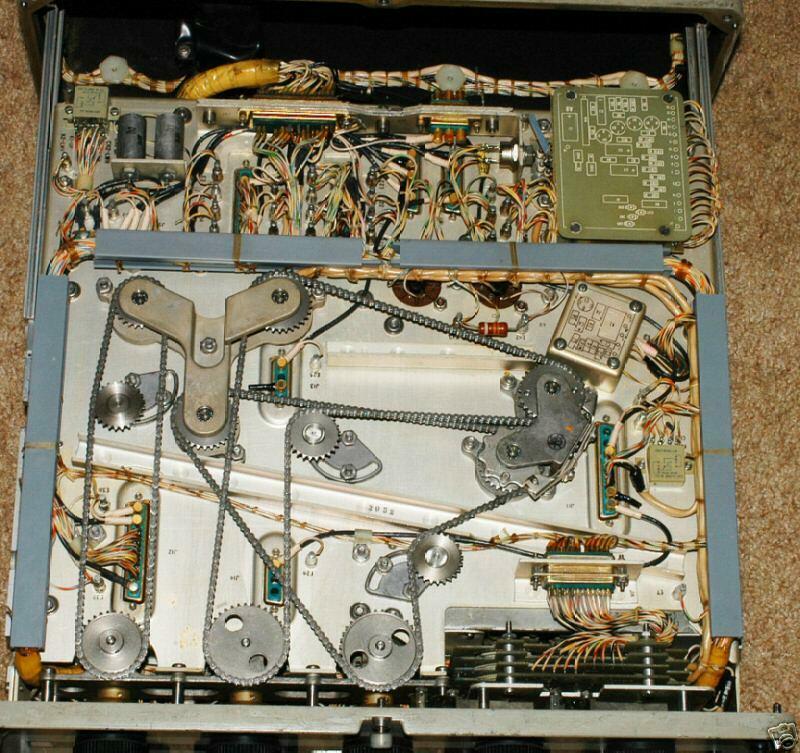 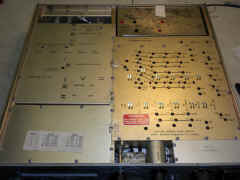 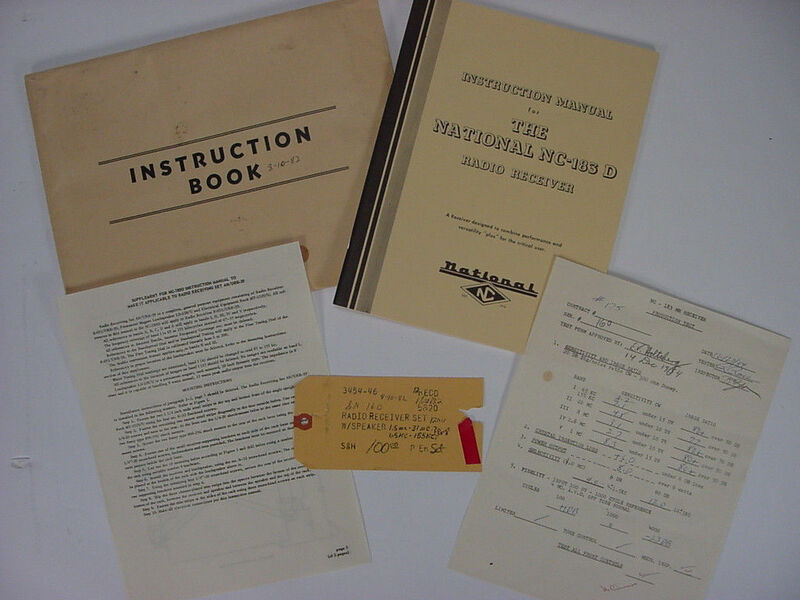 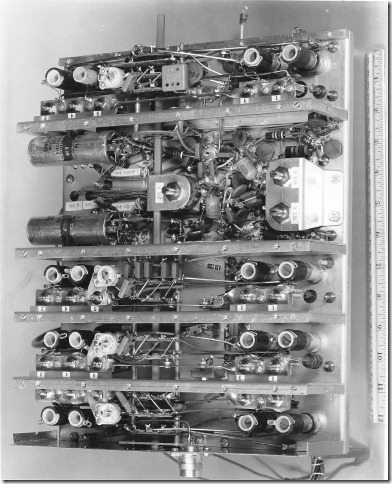 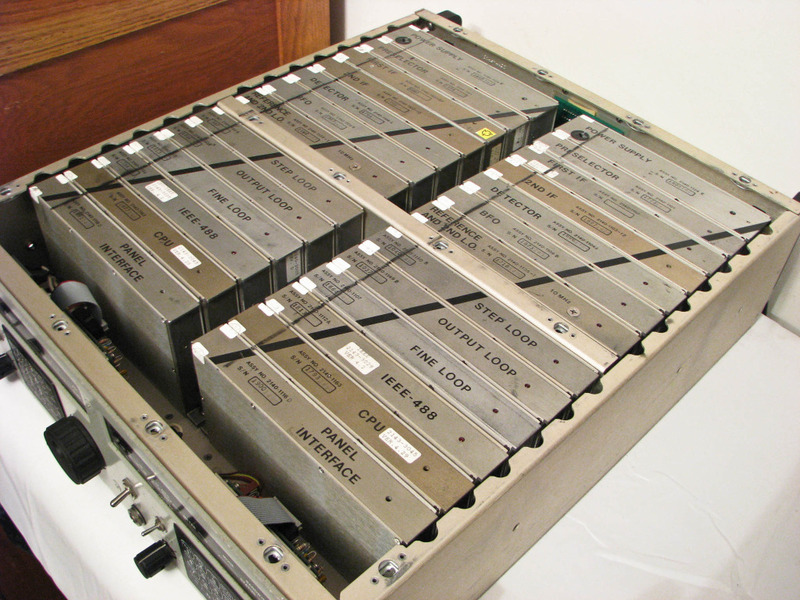 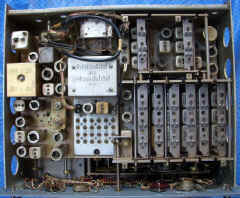 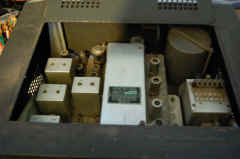 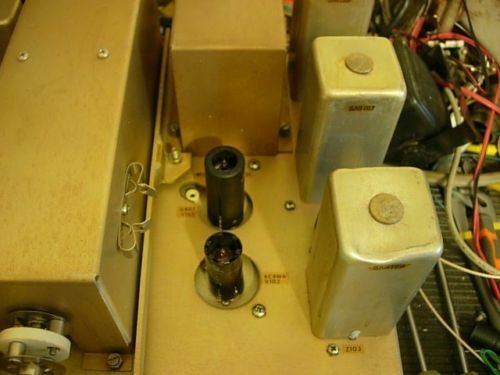 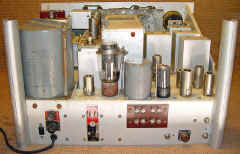 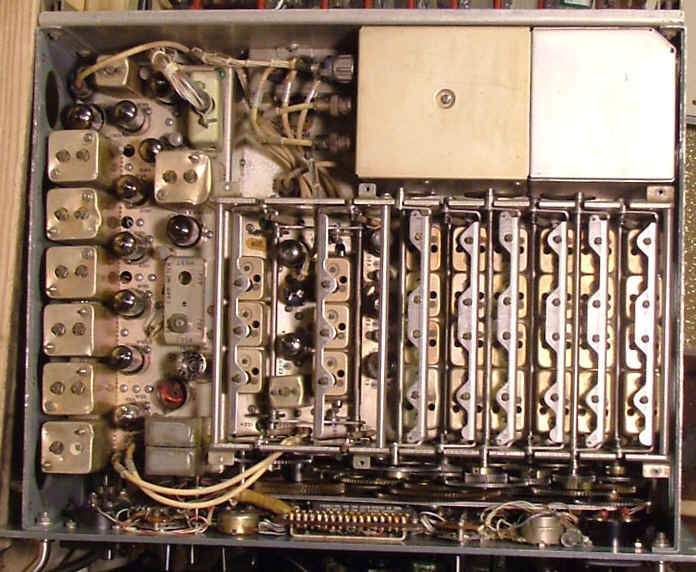 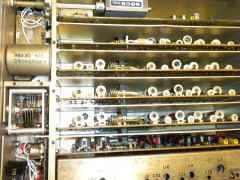 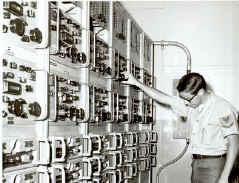 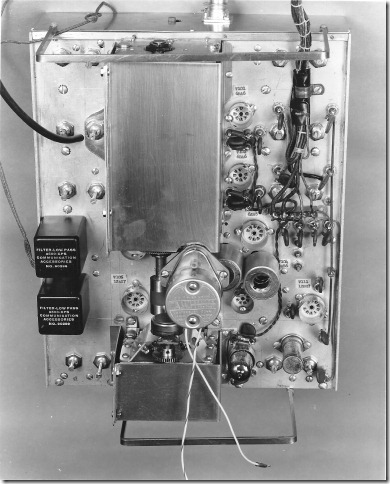 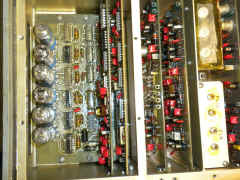 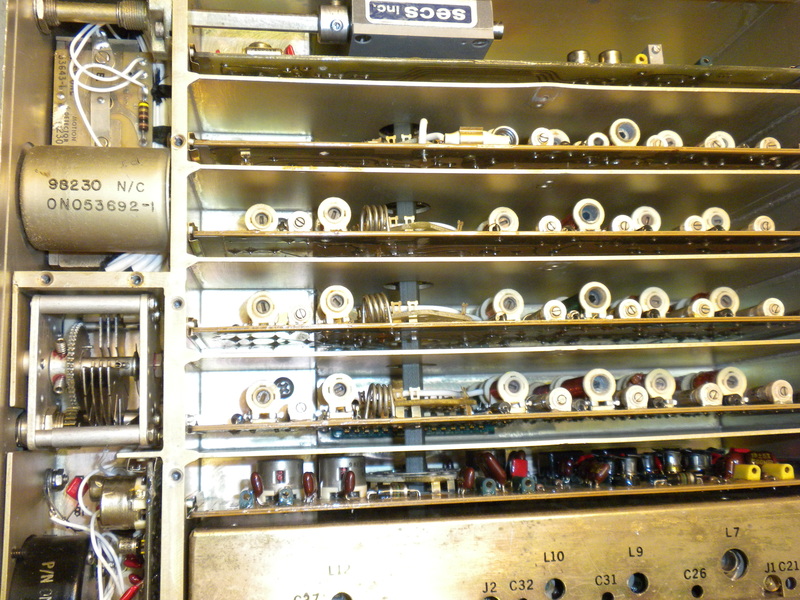 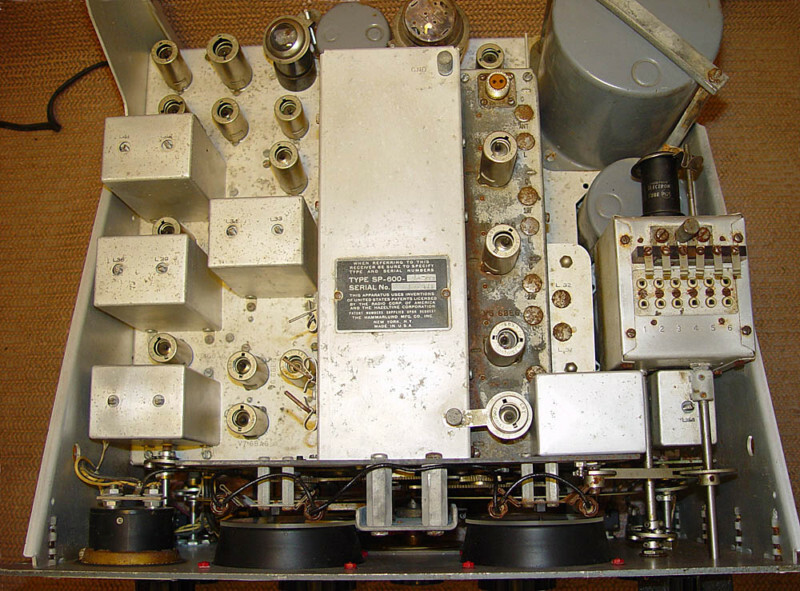 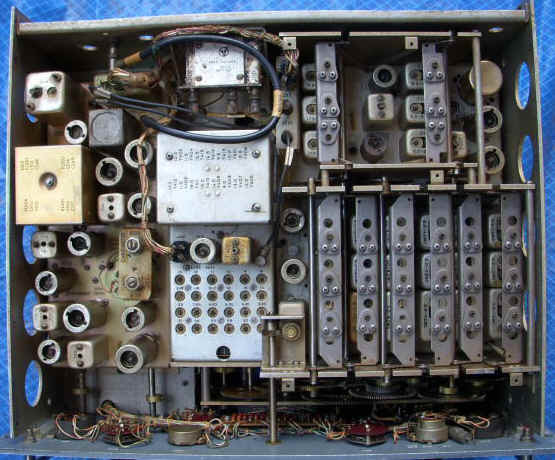 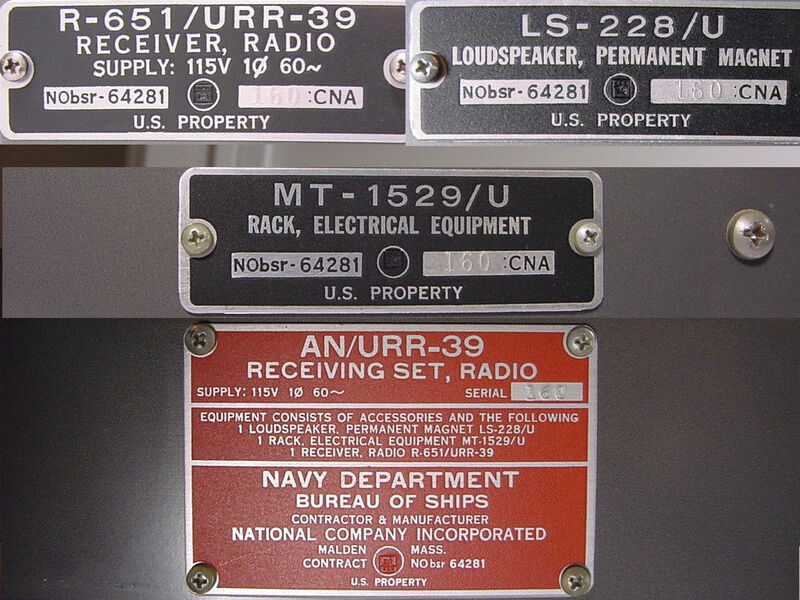 Output terminations are provided for the connection of external teletype equipment, and a headset or other terminal equipment. The receiver frequency stability is one part in 10^7 per day allowing extended operating periods without operator attention. 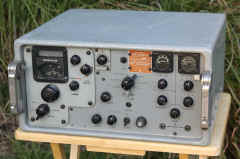 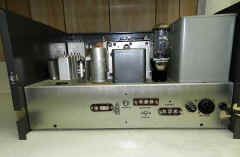 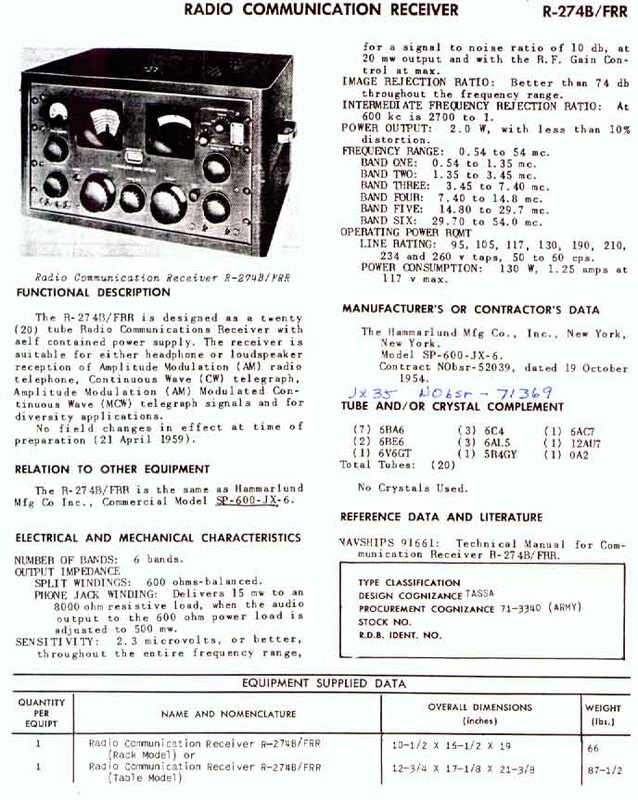 Collins 51J-3 with MFP and modified antenna input ckt ? 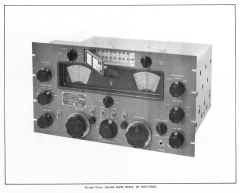 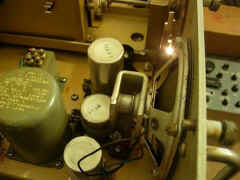 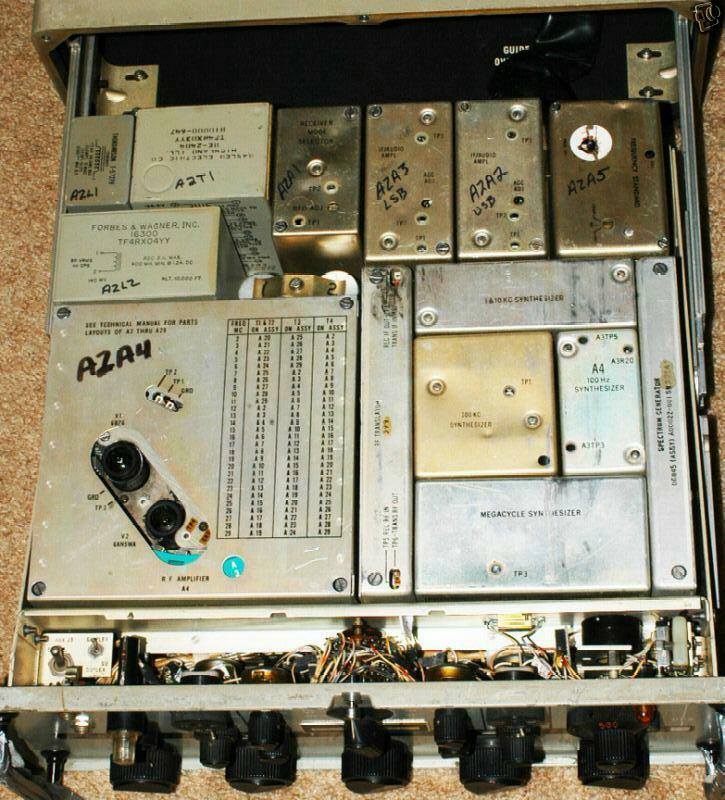 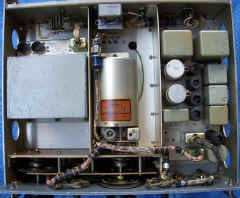 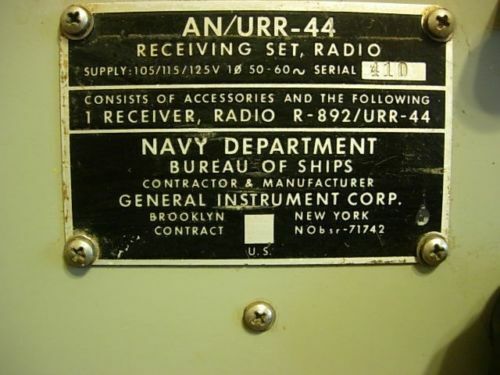 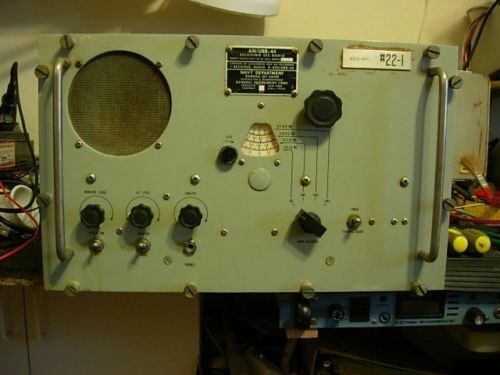 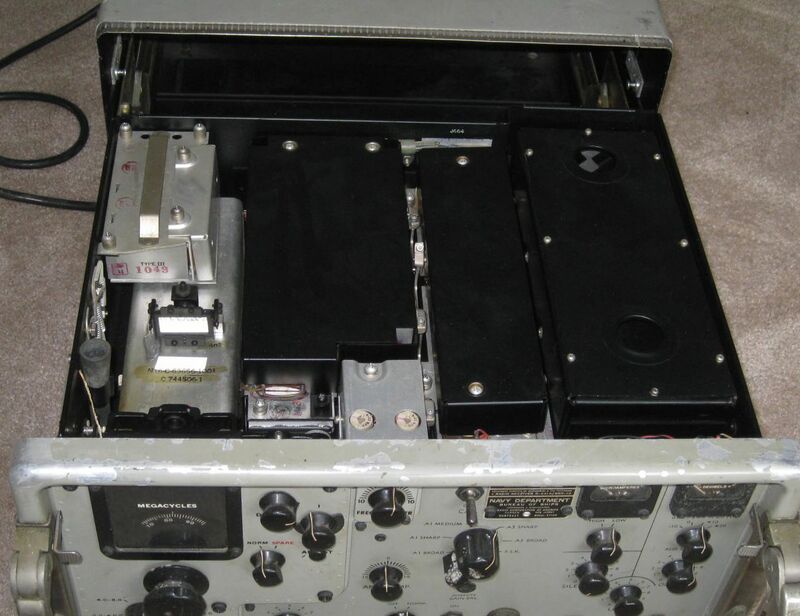 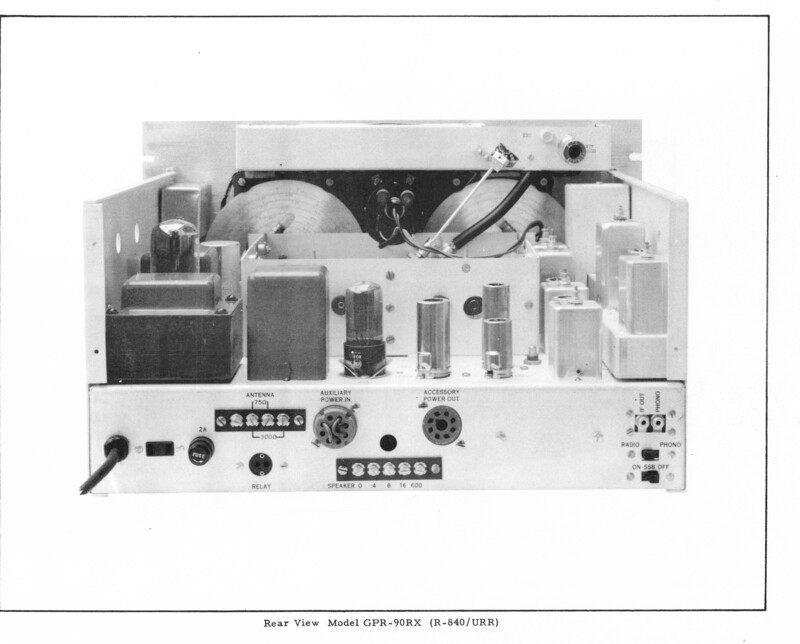 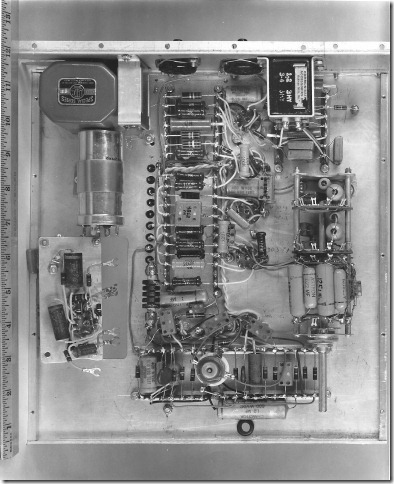 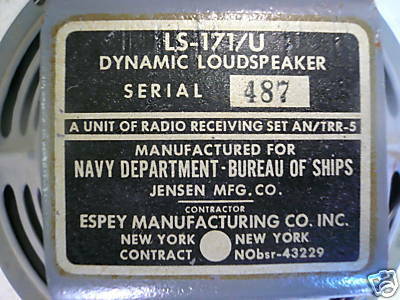 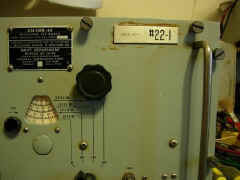 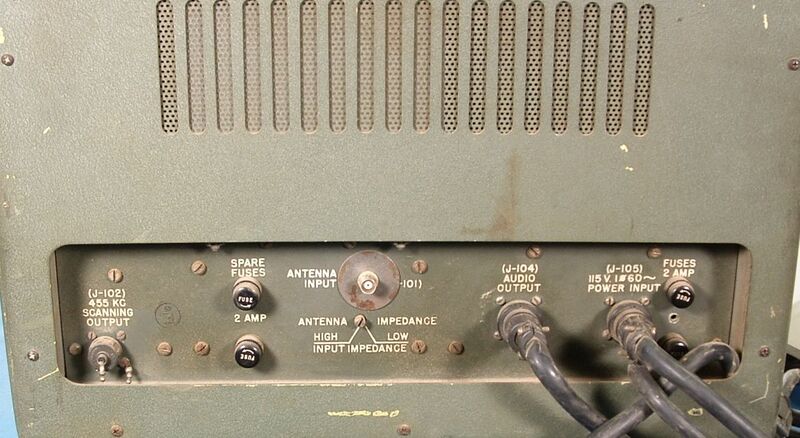 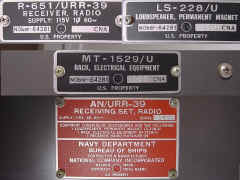 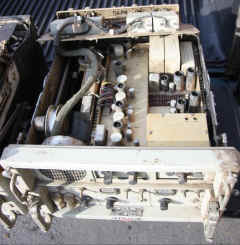 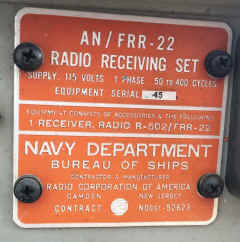 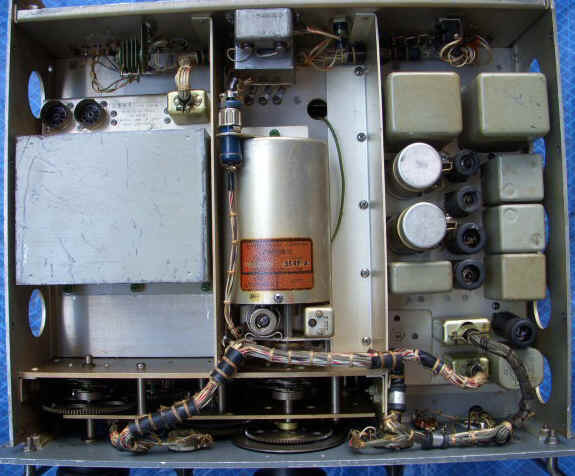 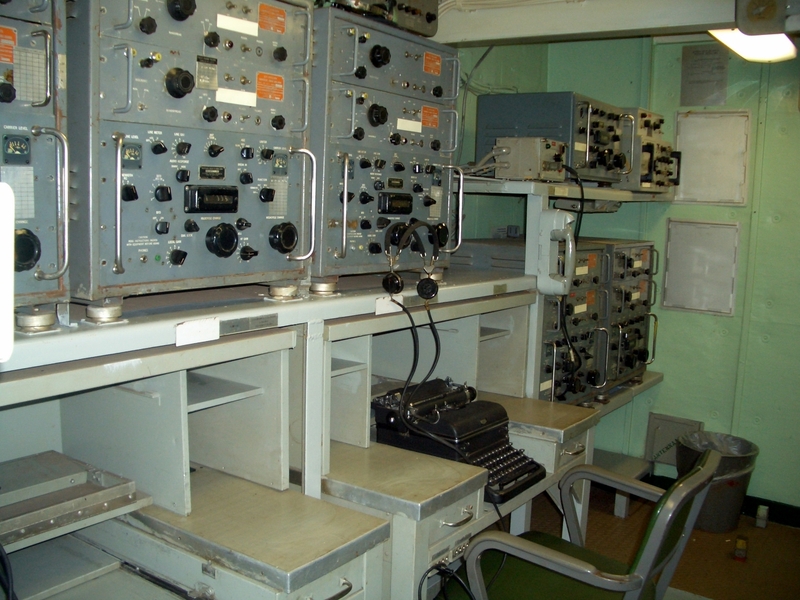 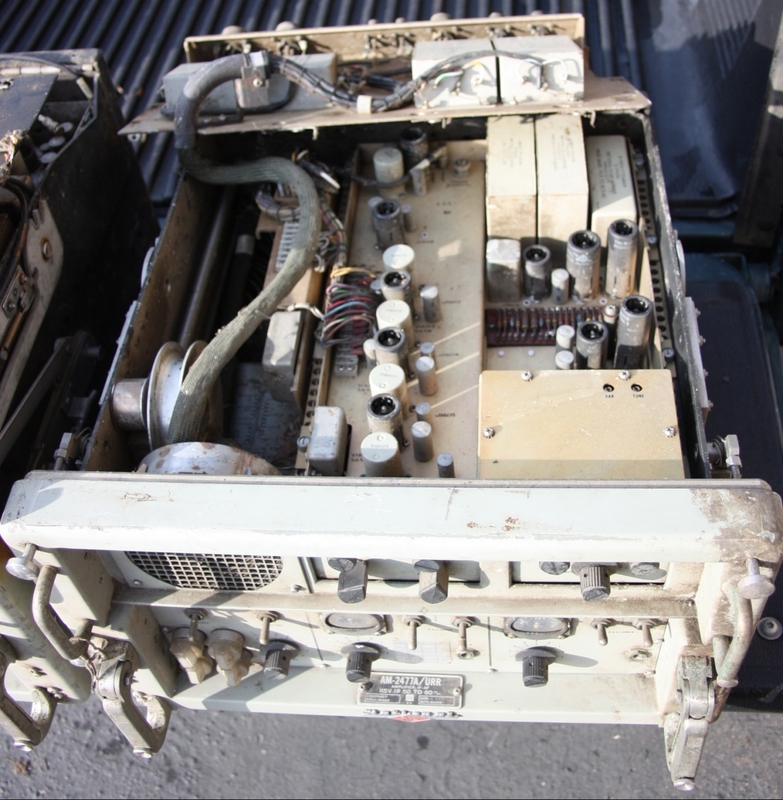 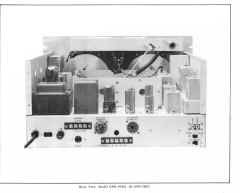 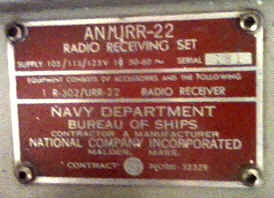 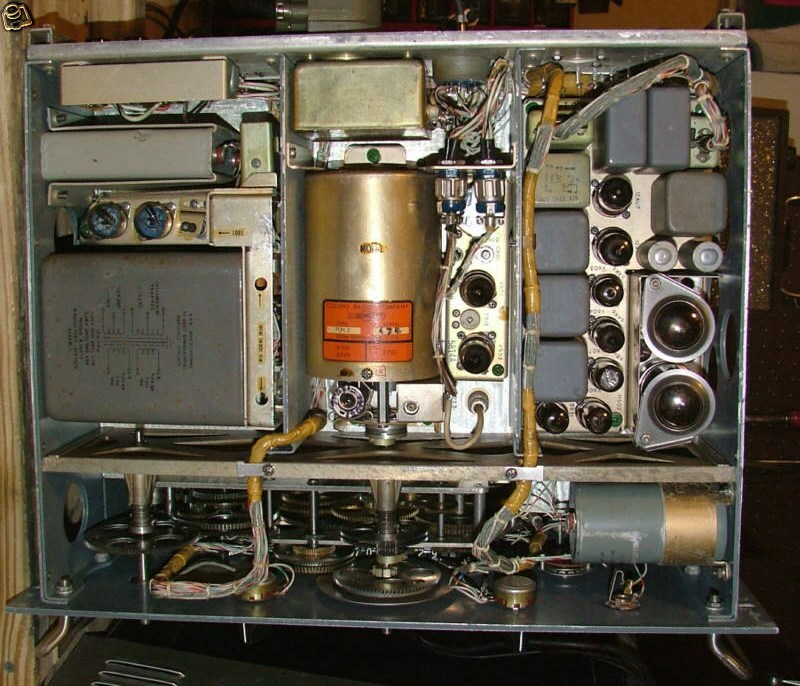 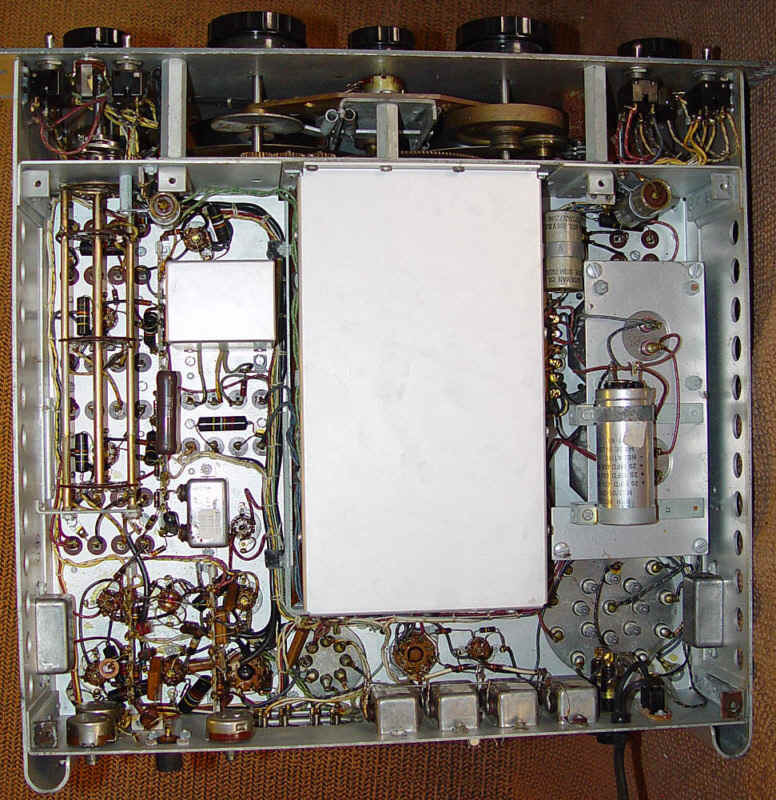 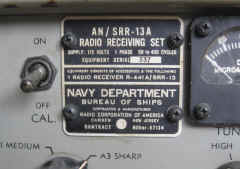 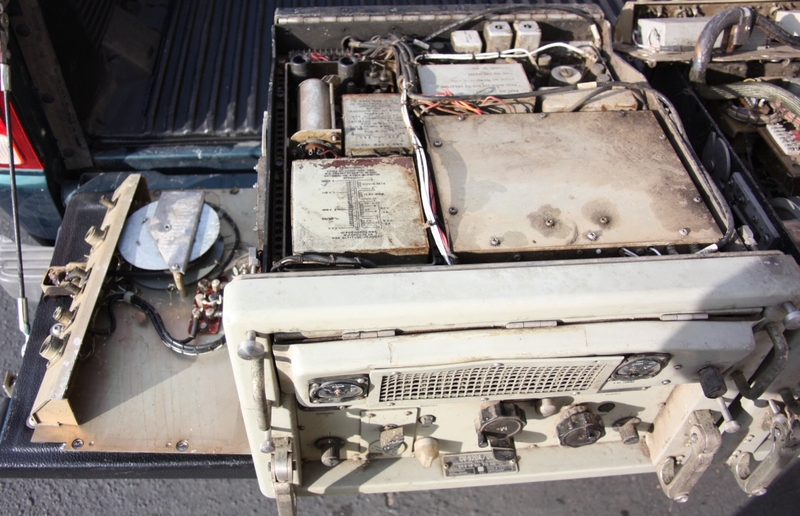 Were all Navy R-388 receivers procured as AN/URR-23A systems? 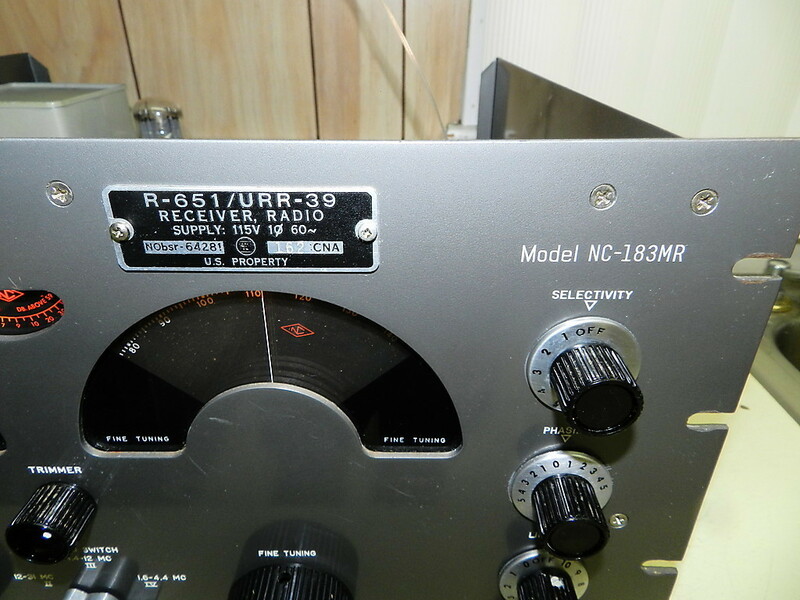 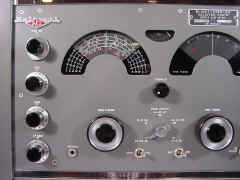 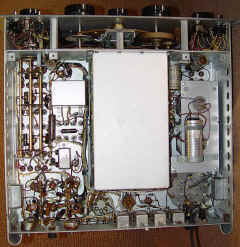 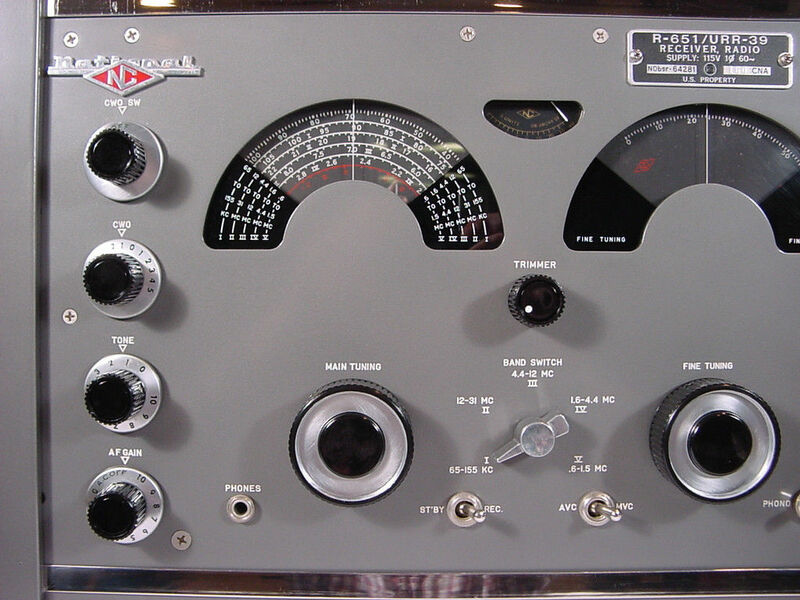 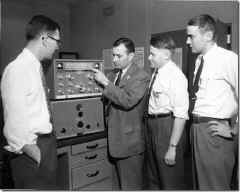 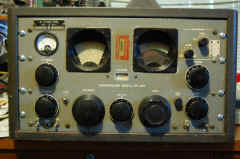 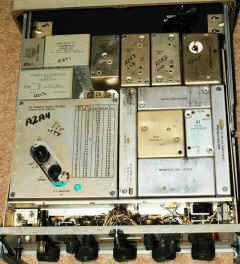 AM (16 or 6 khz), SSB (3.2 khz), RTTY (1 khz) or CW (.3 khz). 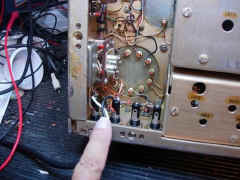 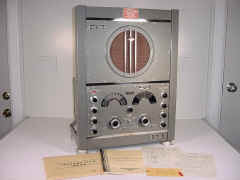 There is a mechanical BFO built in that can be adjusted in 10 hz increments using decadic thumbwheels The digital readout is clear and bright and goes to a resolution of 10 hz for precise tuning. 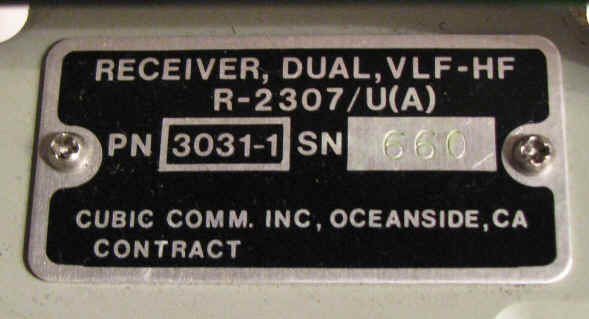 What's this goofy contract number mean? 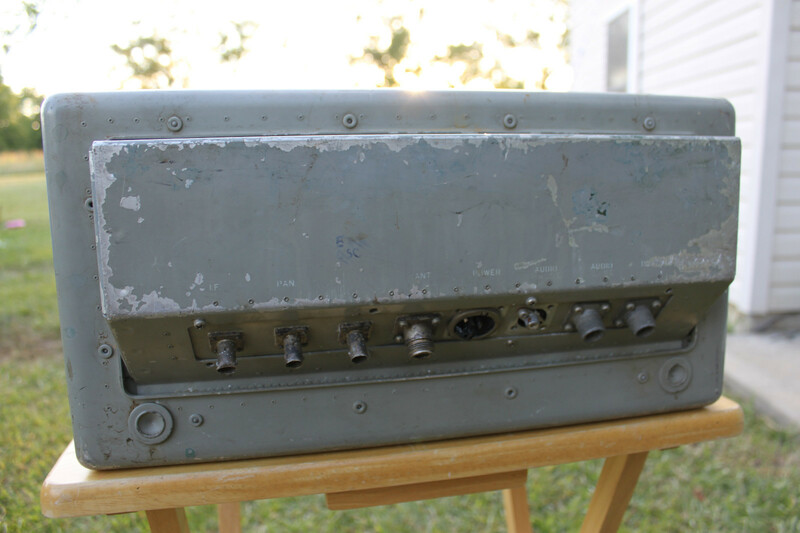 Please send e-mail if you can help clarify this - thanks! 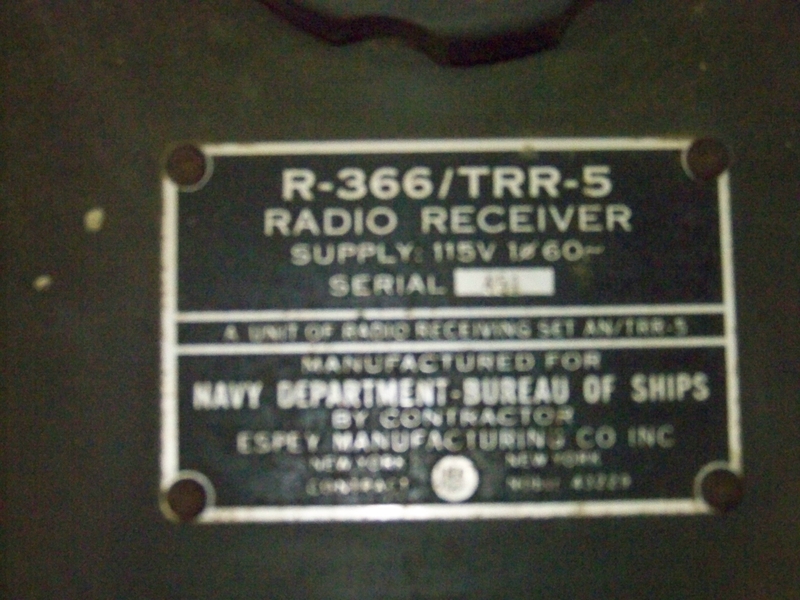 Were any 51J-4's actually labeled as R-388A? 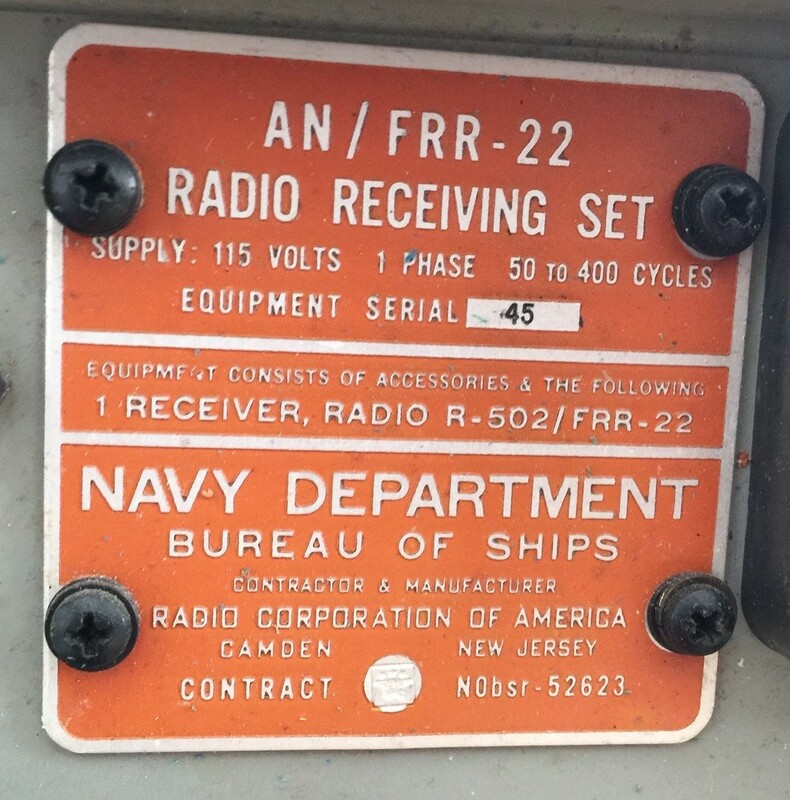 Did the USN use the R-390 or just the R-390A? 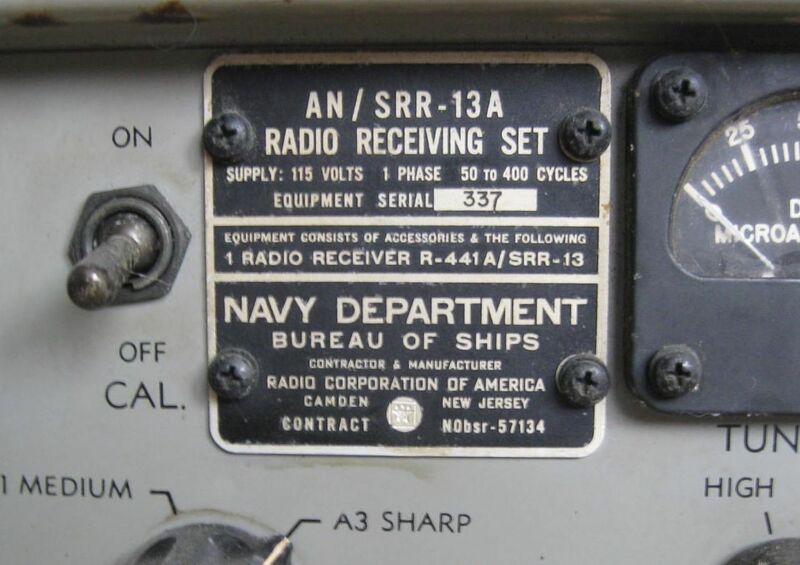 So far I have not seen a photo of an R-390 in USN service. 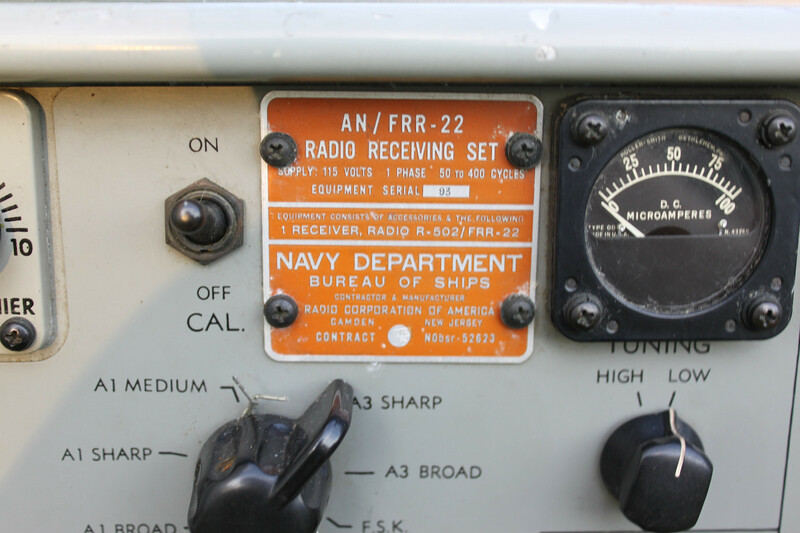 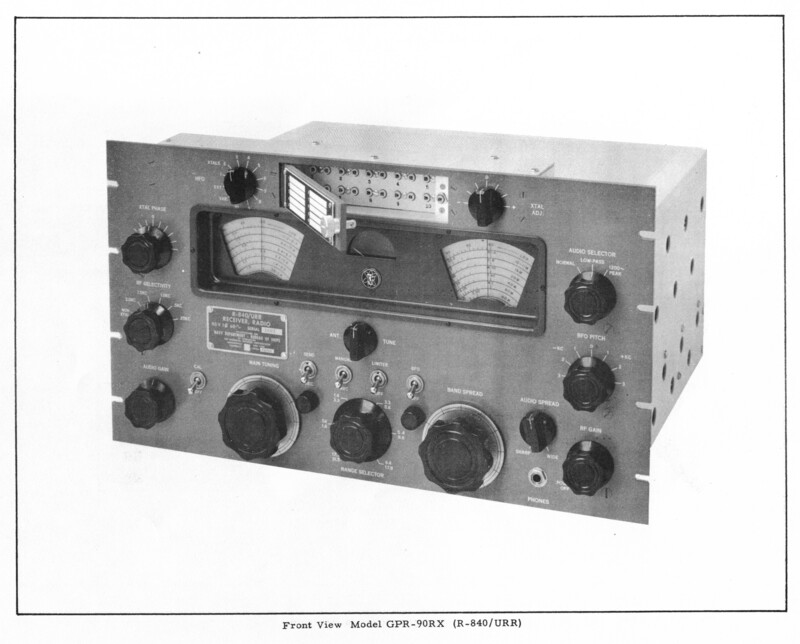 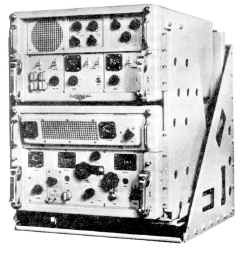 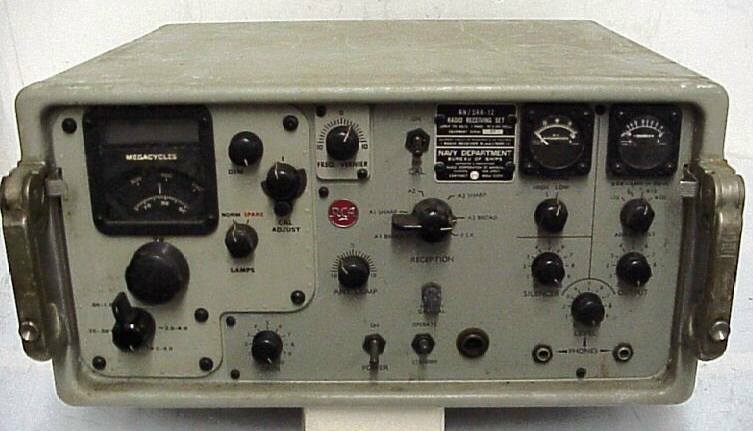 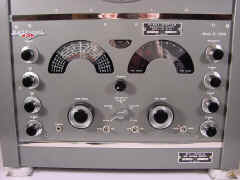 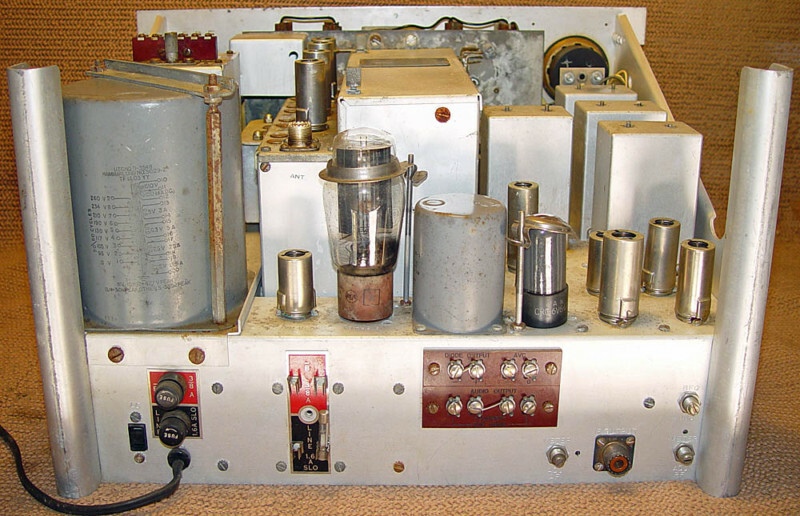 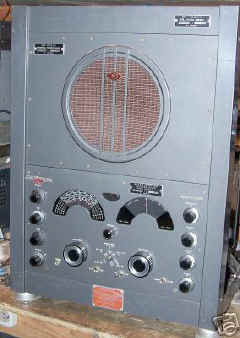 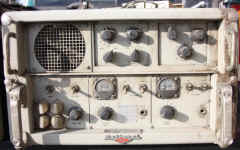 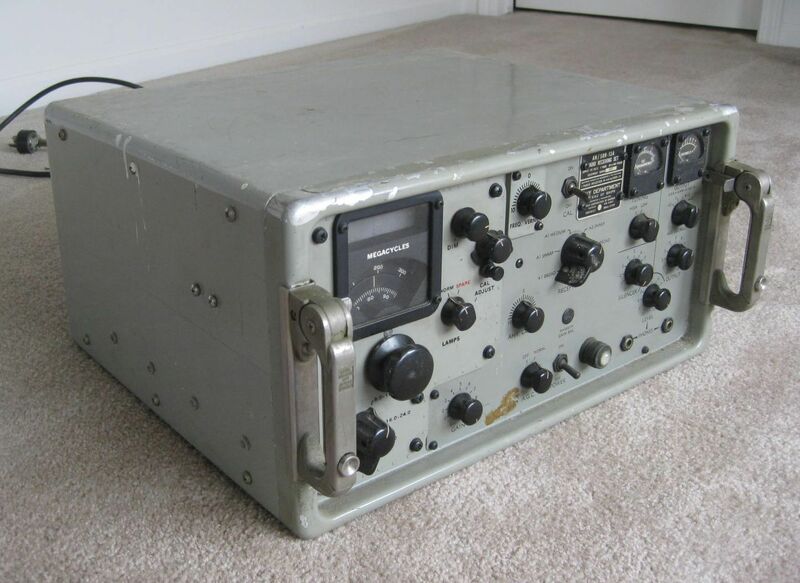 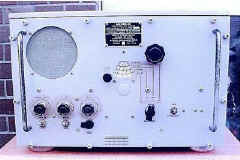 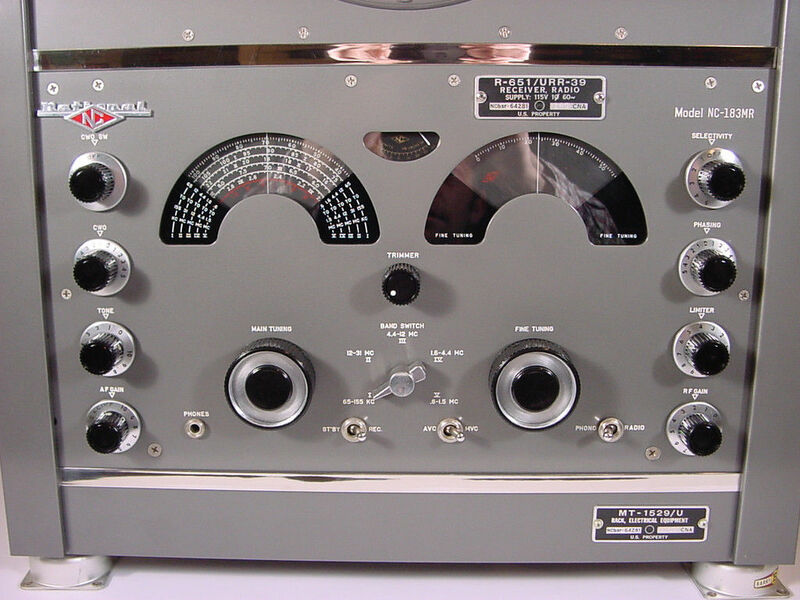 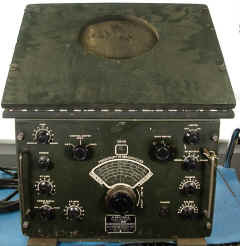 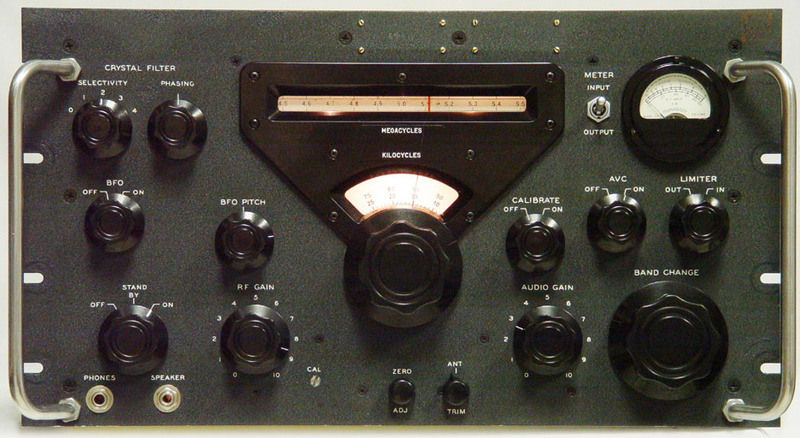 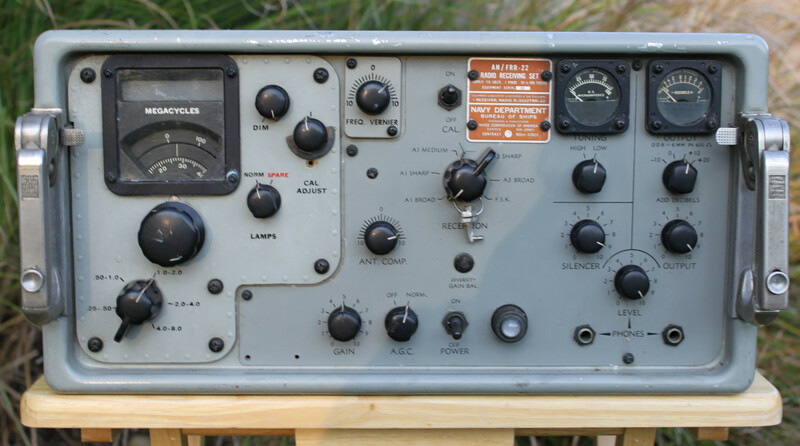 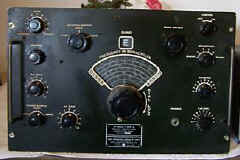 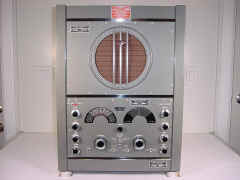 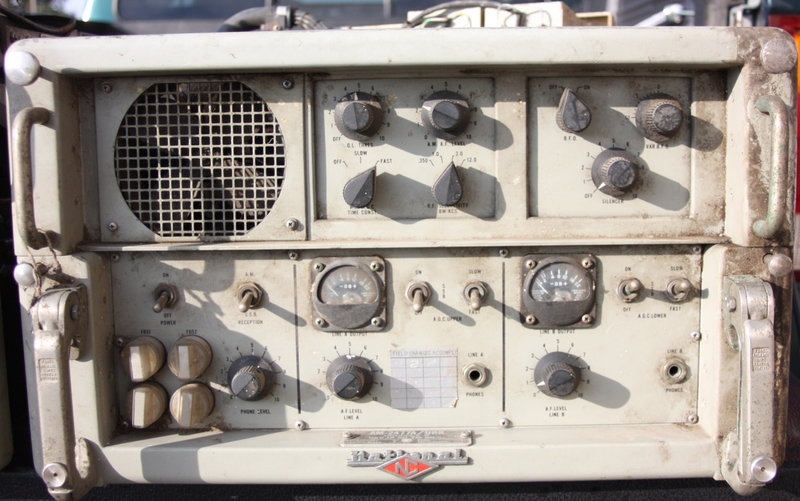 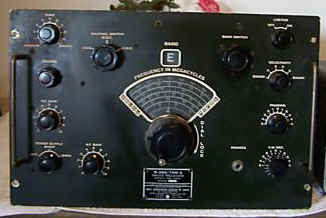 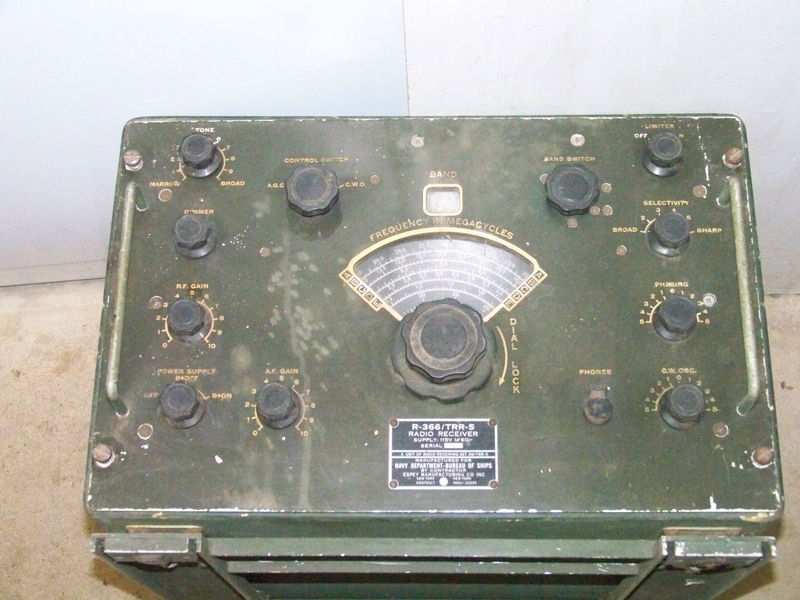 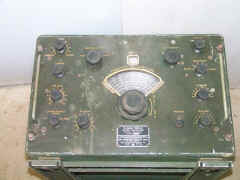 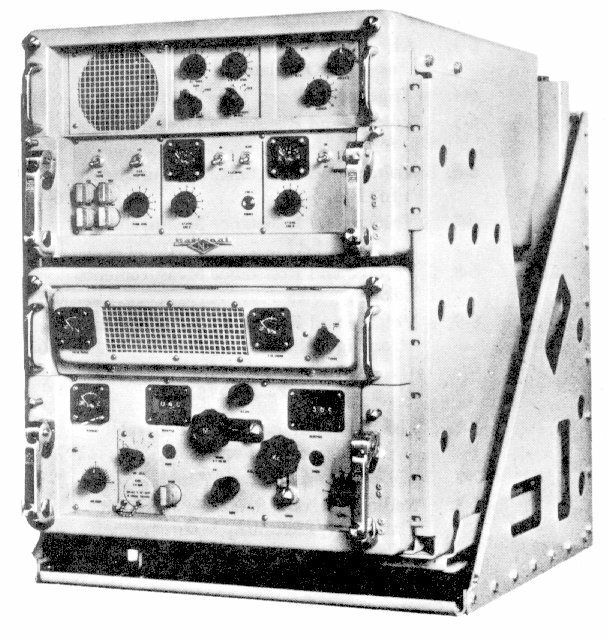 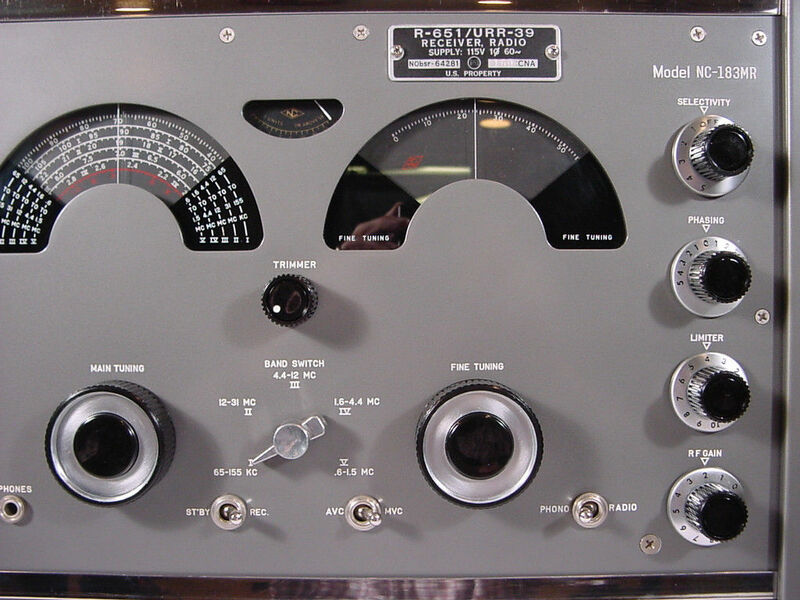 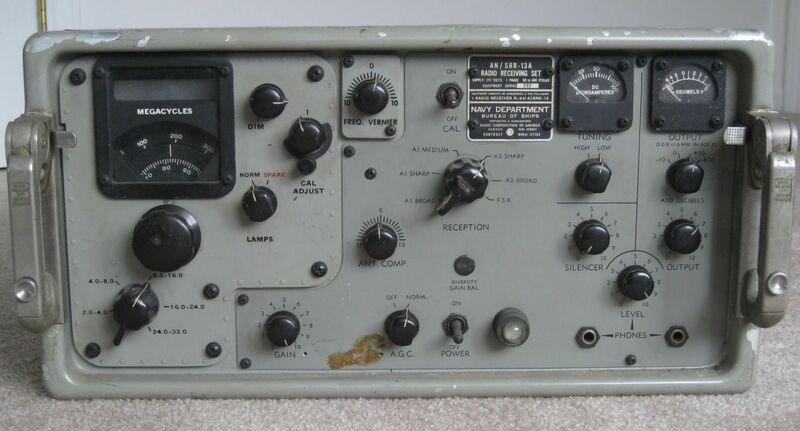 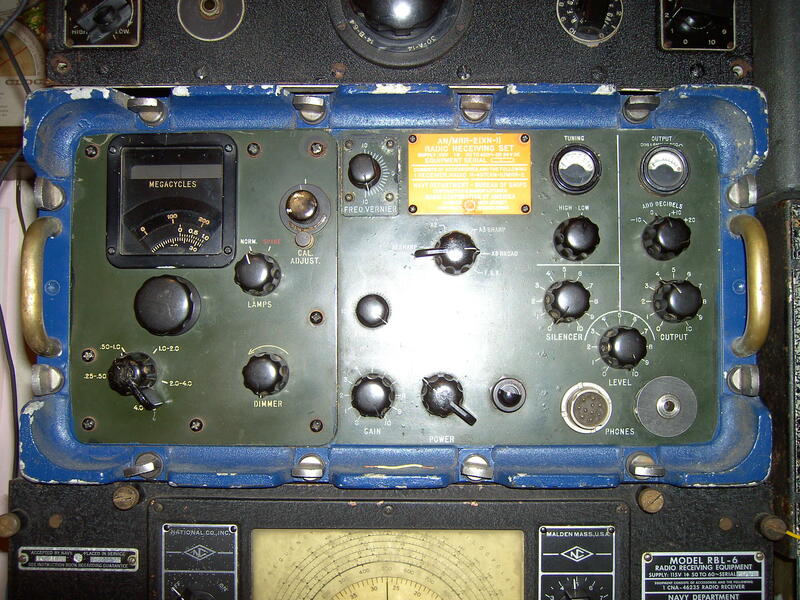 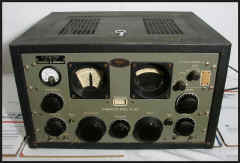 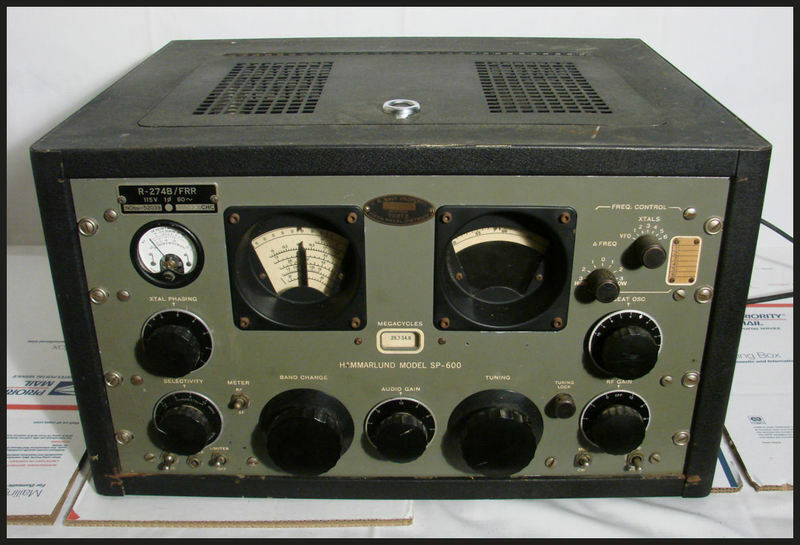 R-390A was a Signal Corps (Army) acquisition but used extensively by the US Navy. 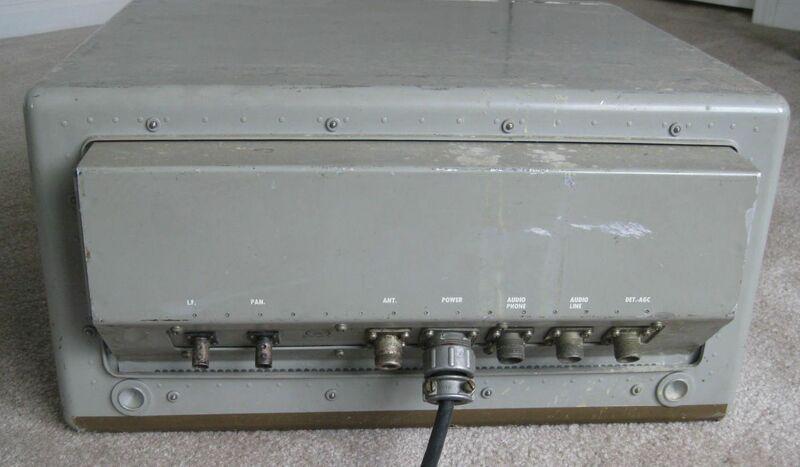 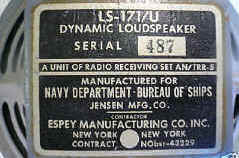 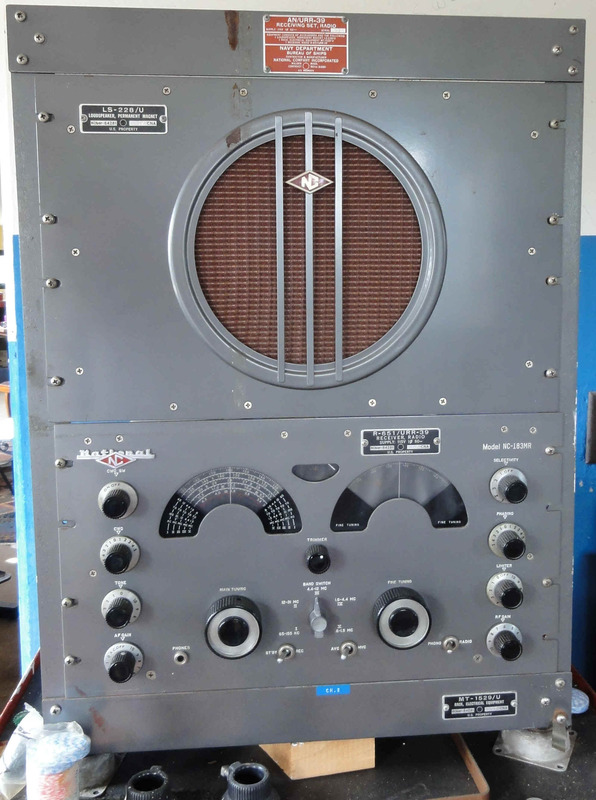 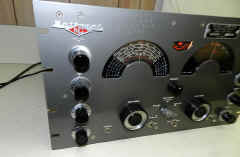 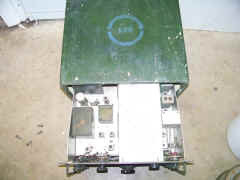 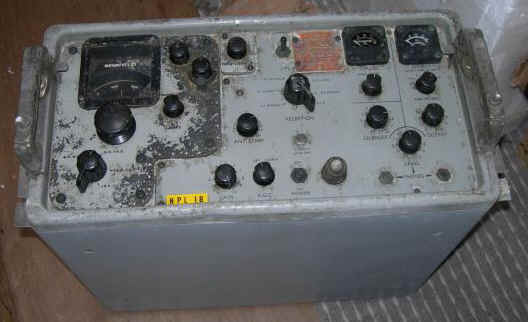 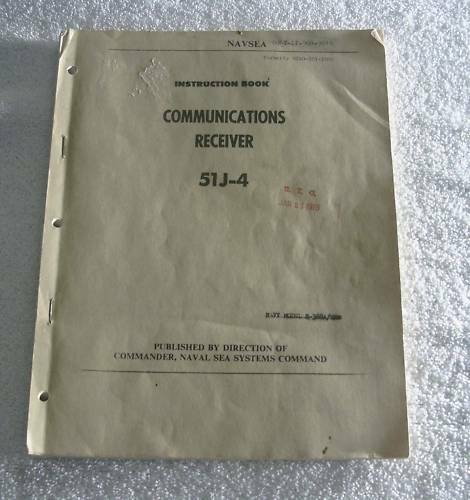 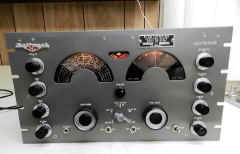 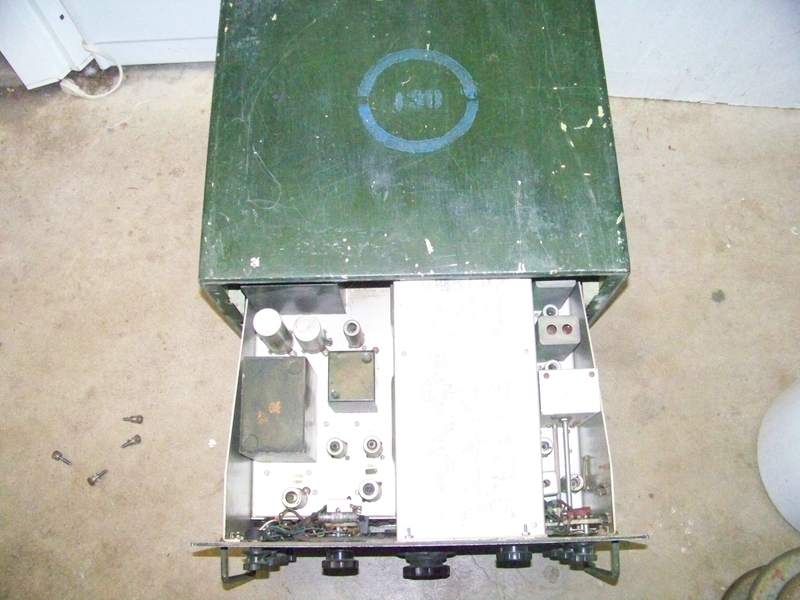 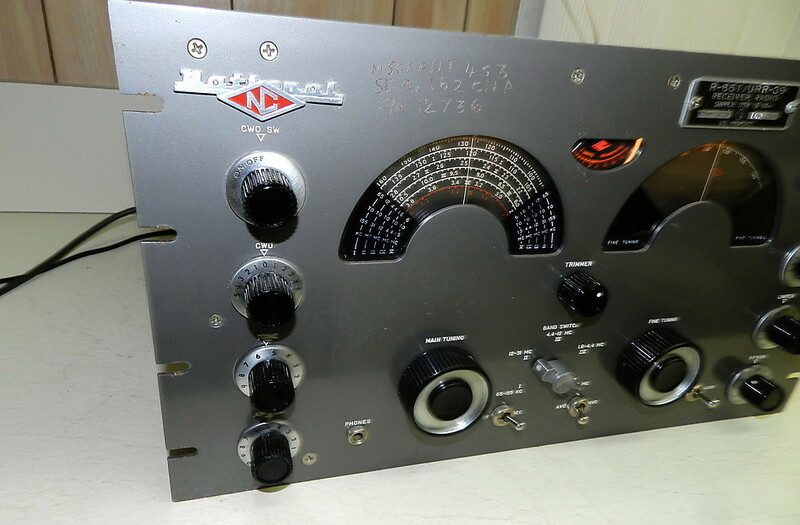 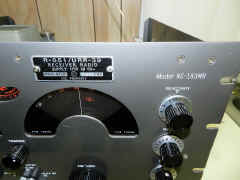 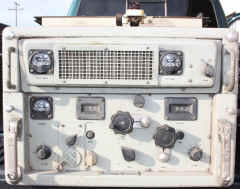 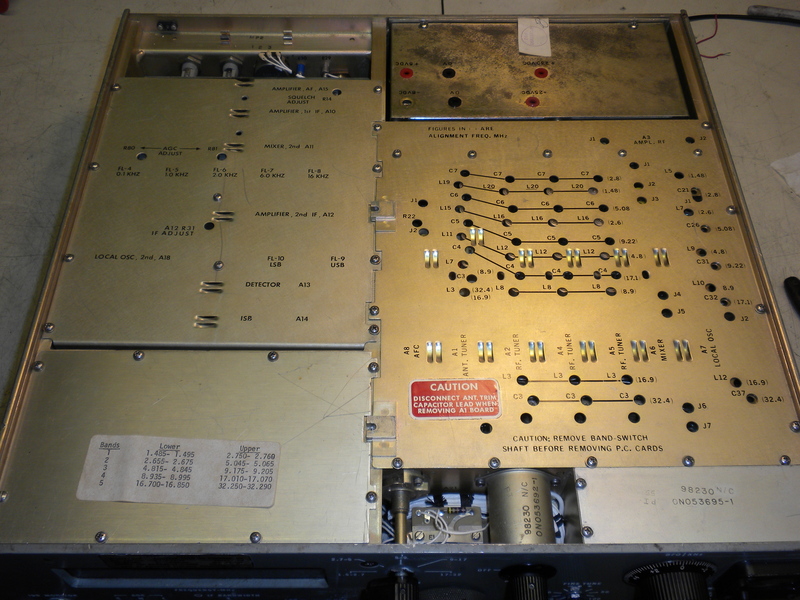 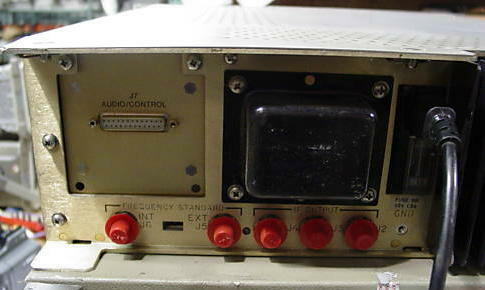 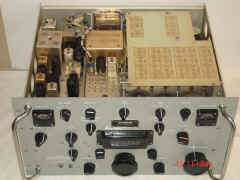 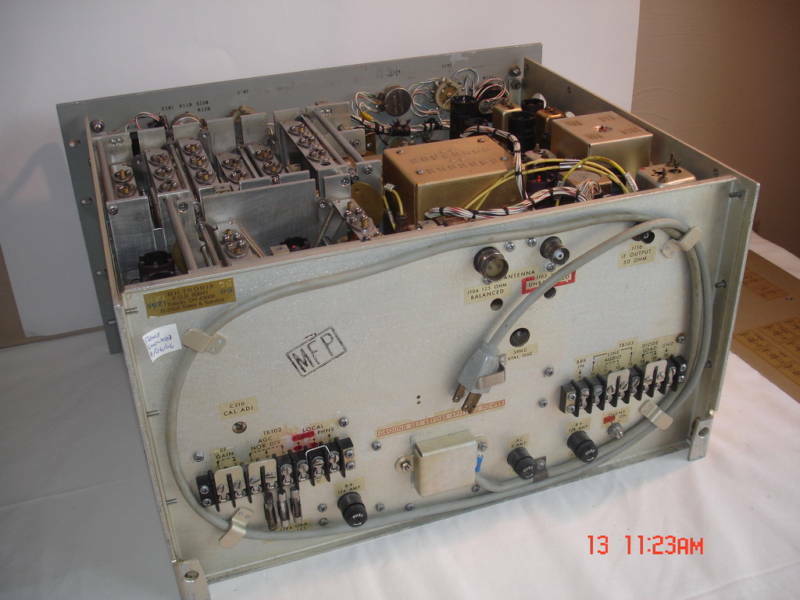 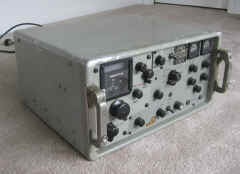 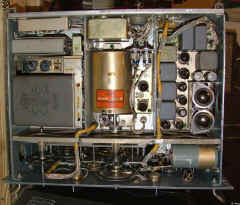 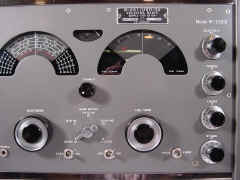 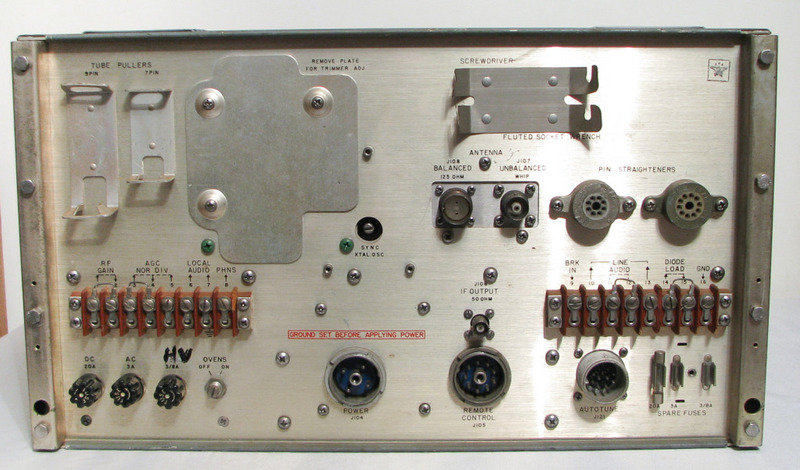 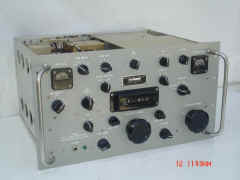 probably only used for intercept rather than HF comms - used by ASA - was it also used by NAVSECGRU? 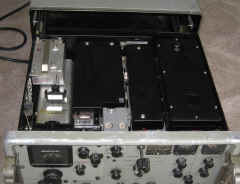 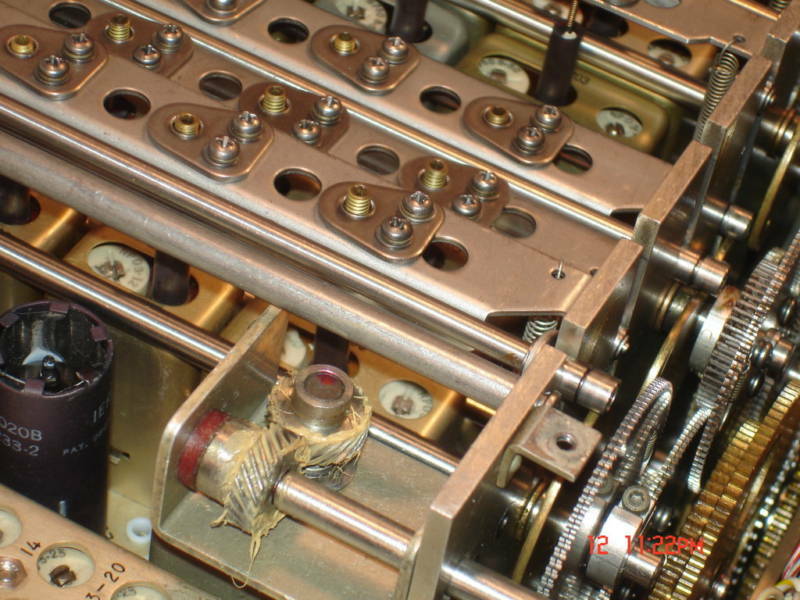 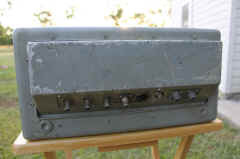 retaining clips added to this unit for airborne use.